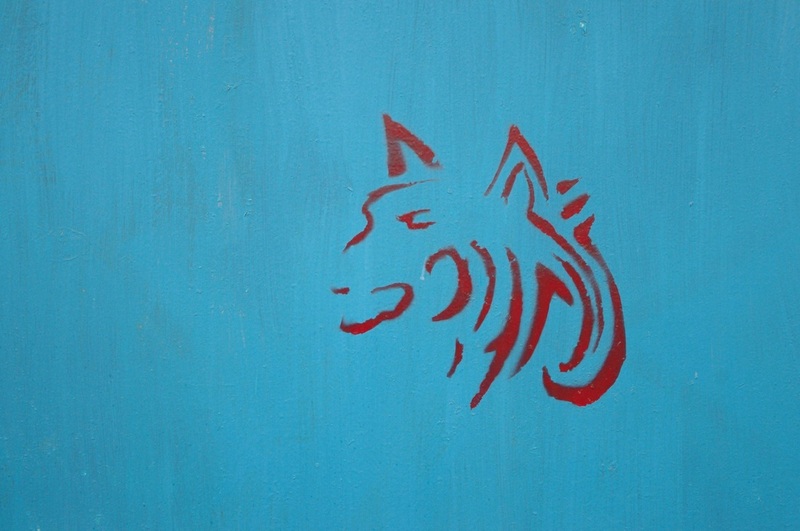 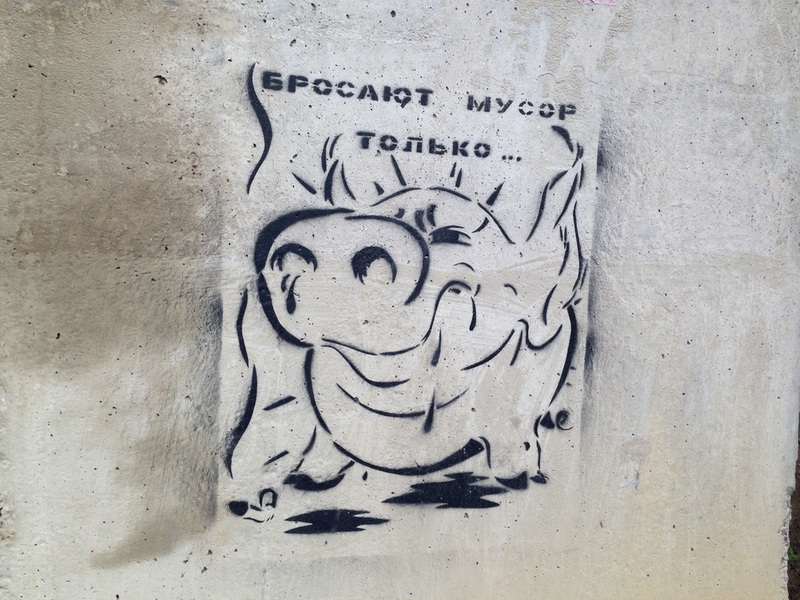 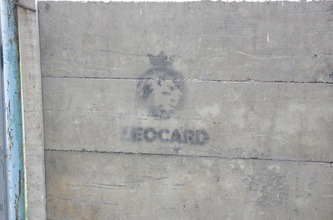 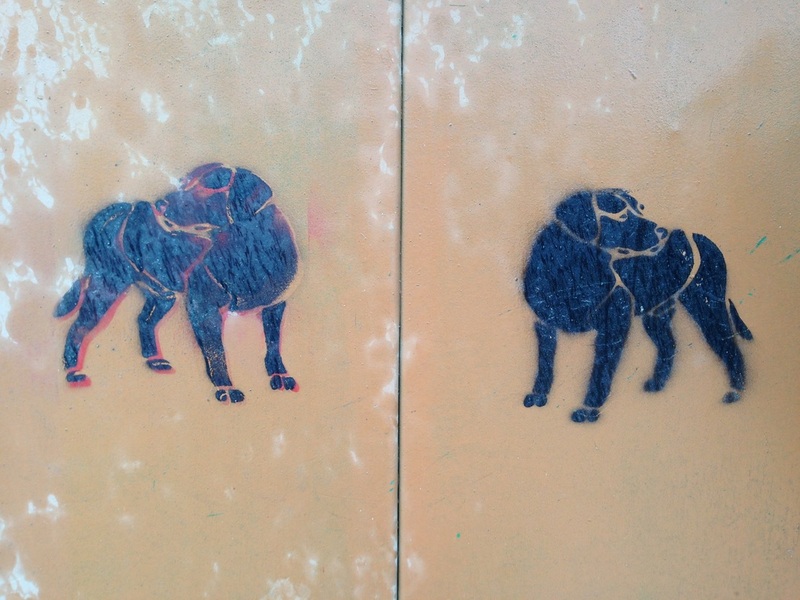 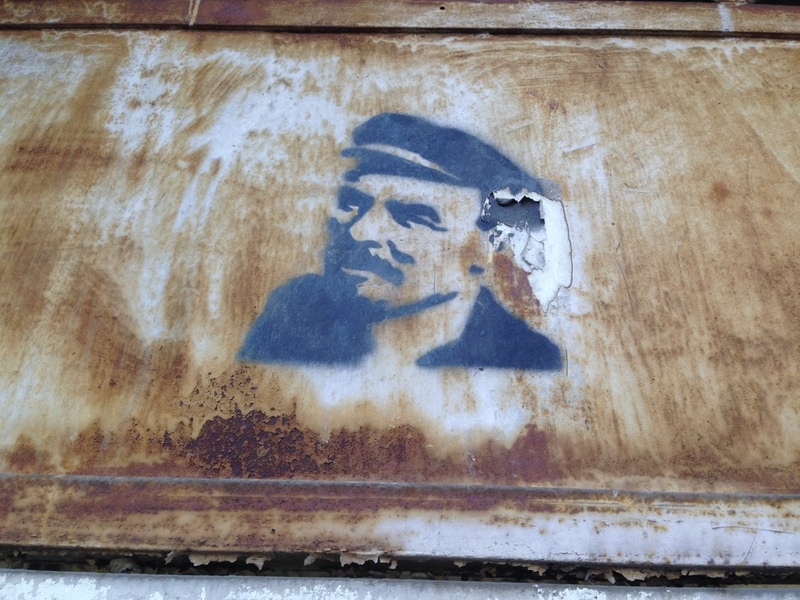 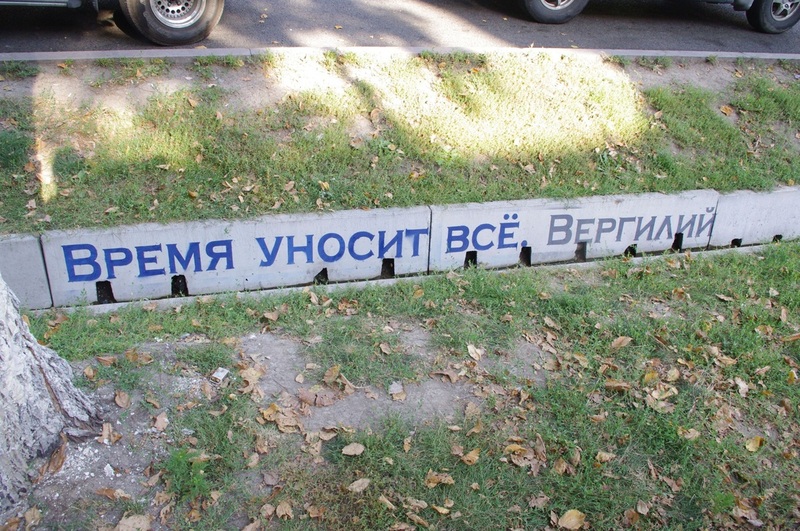 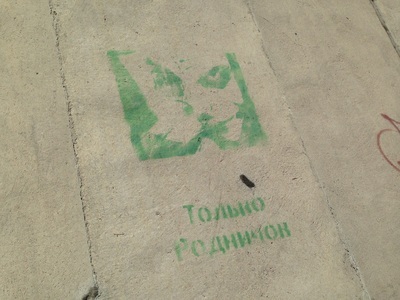 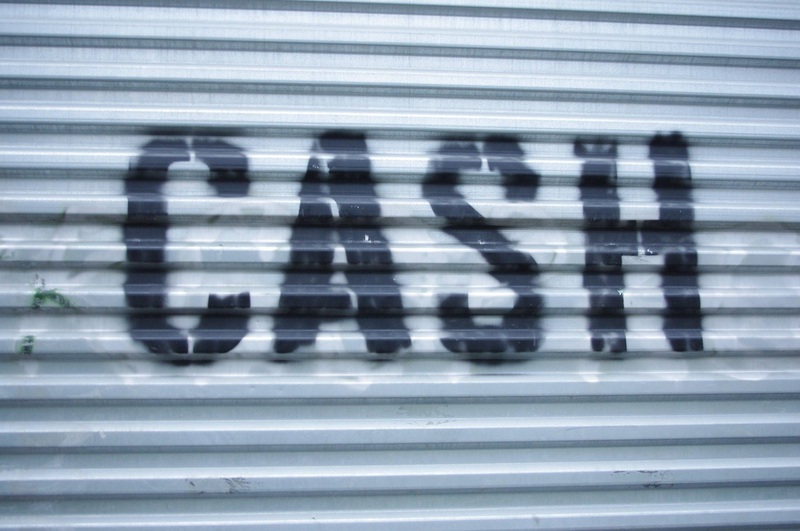 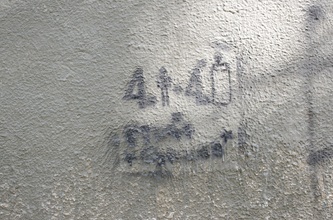 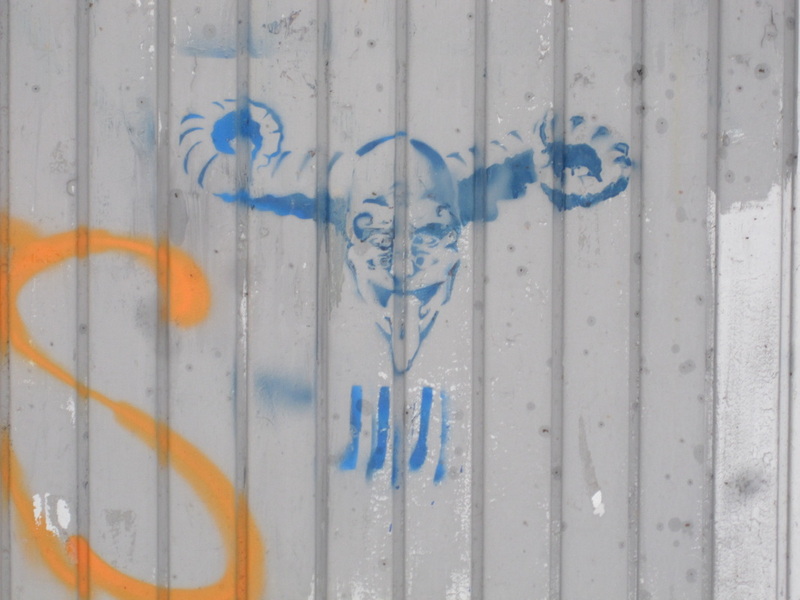 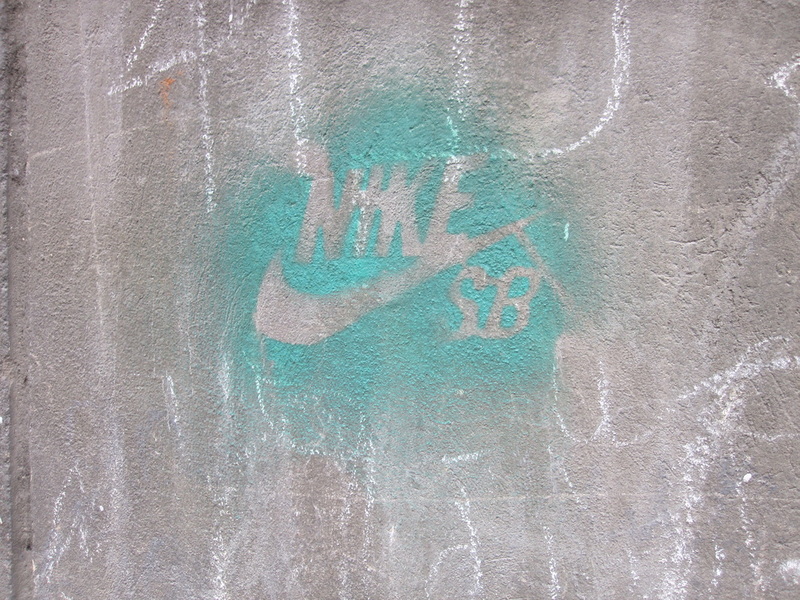 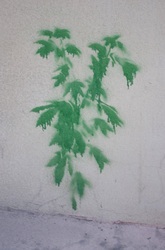 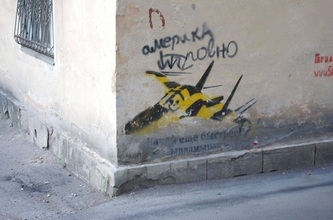 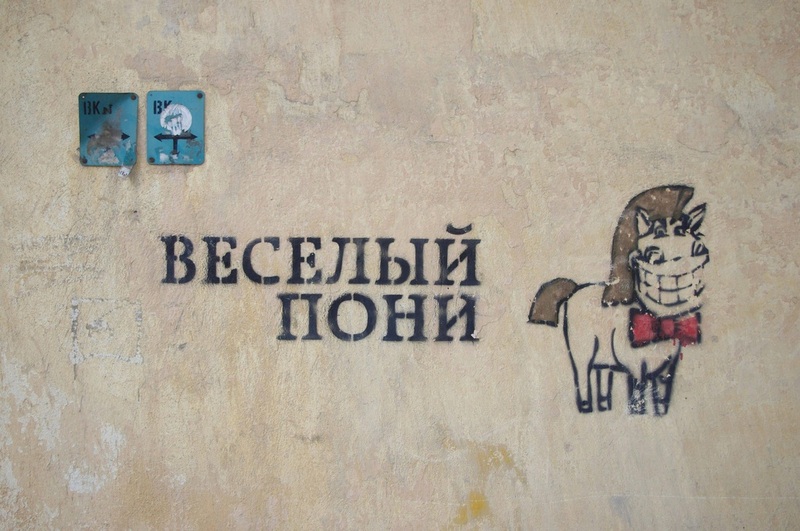 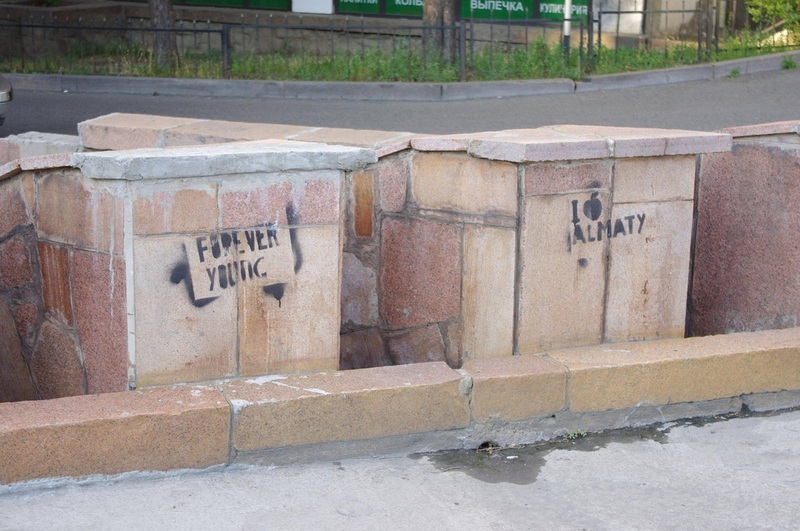 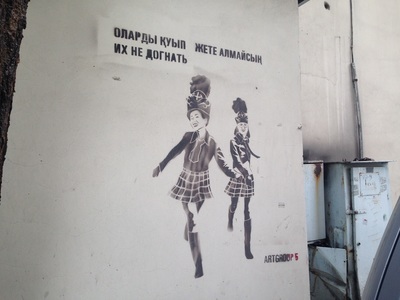 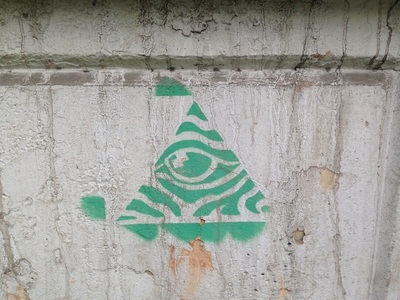 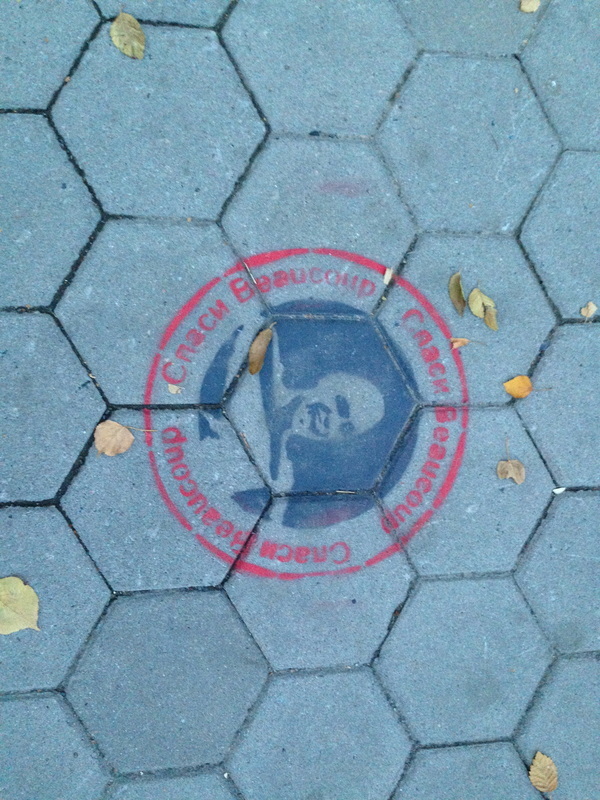 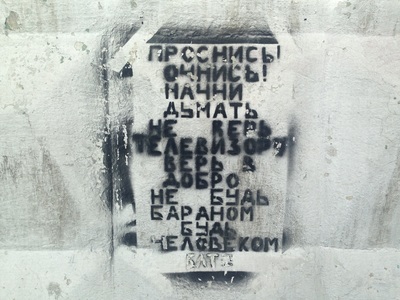 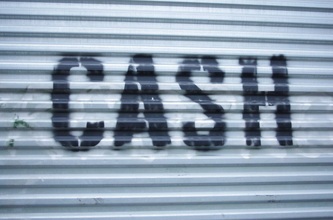 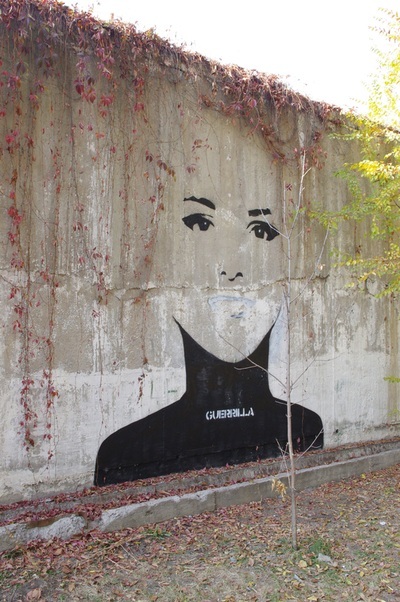 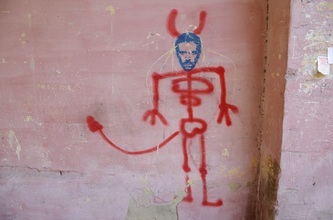 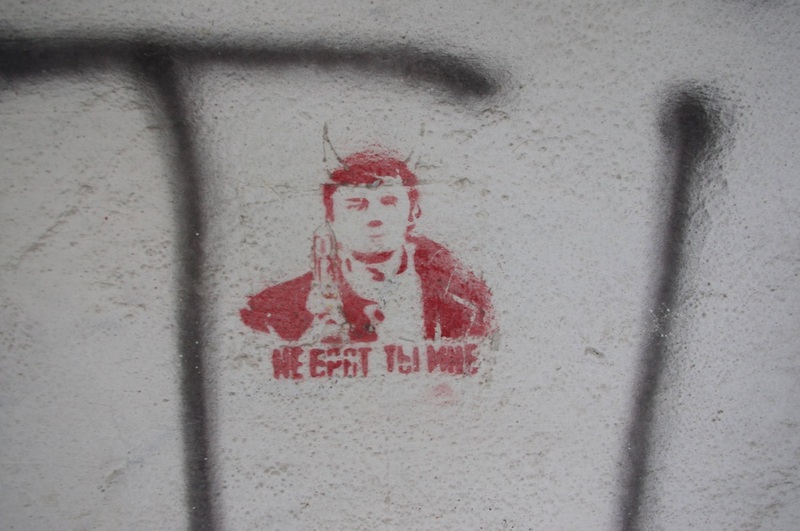 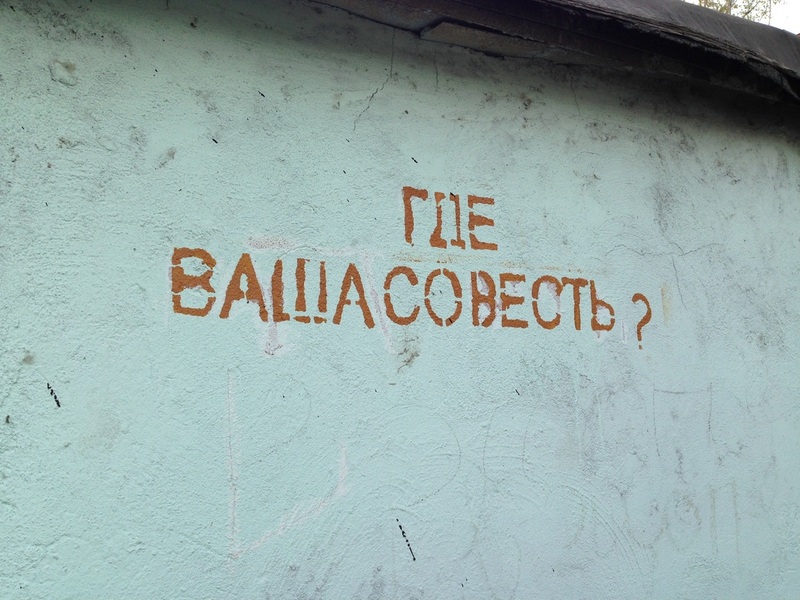 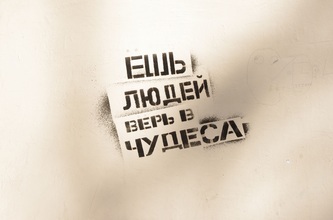 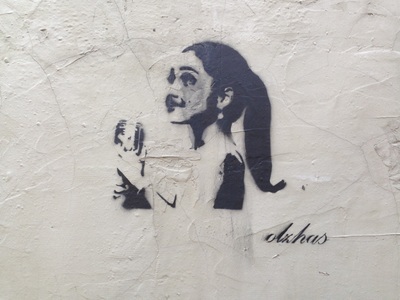 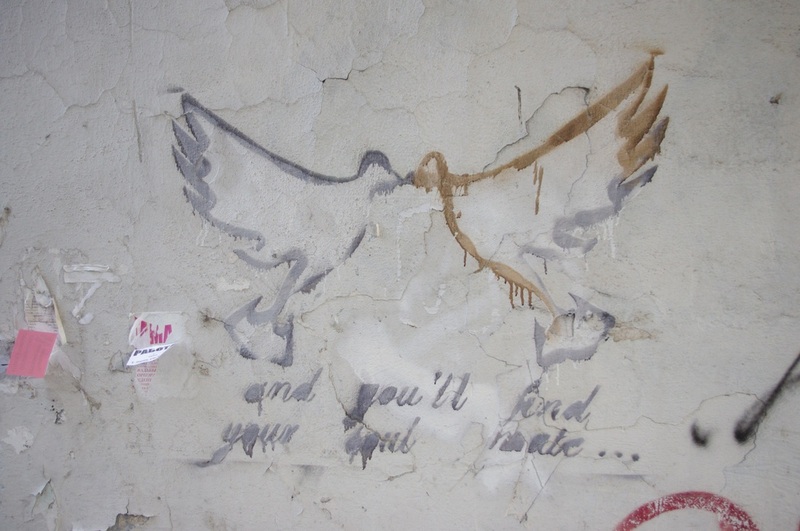 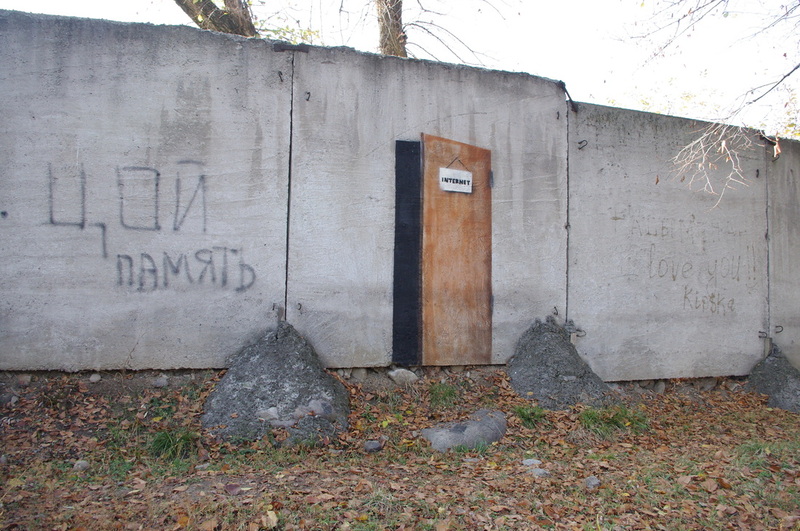 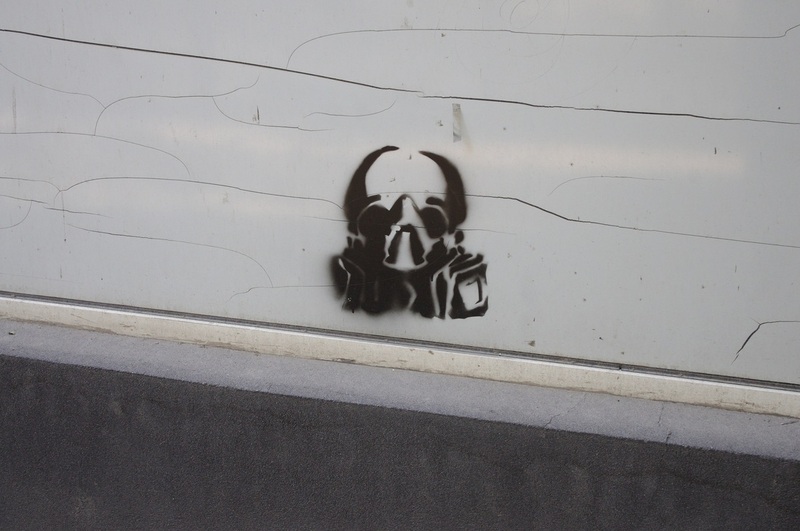 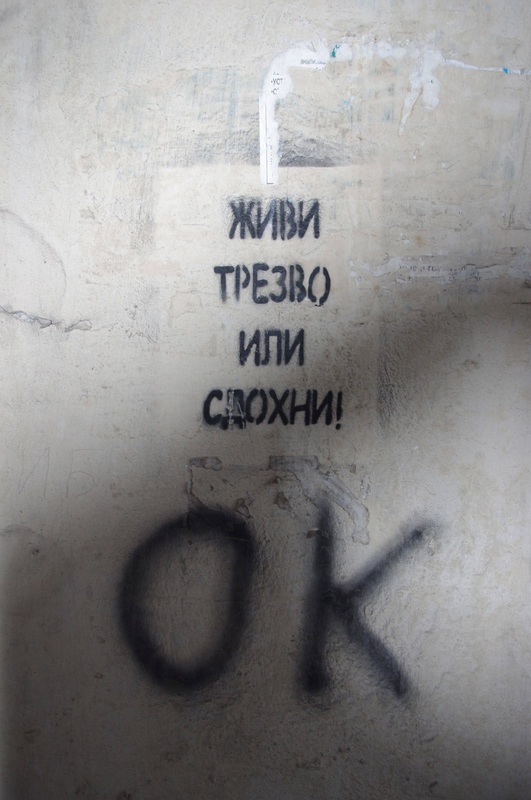 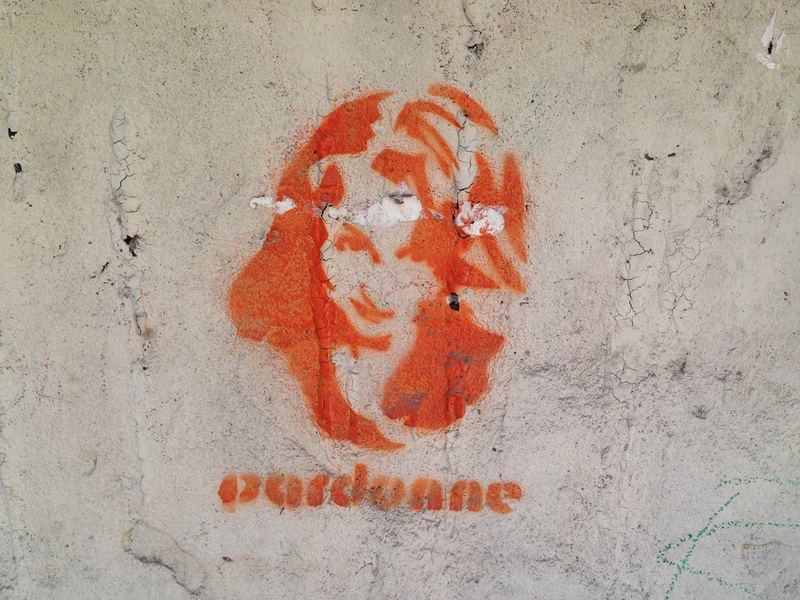 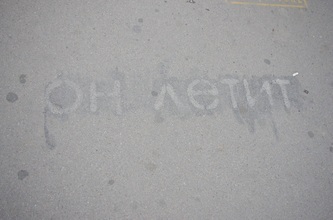 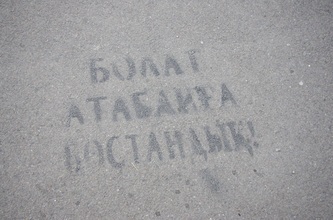 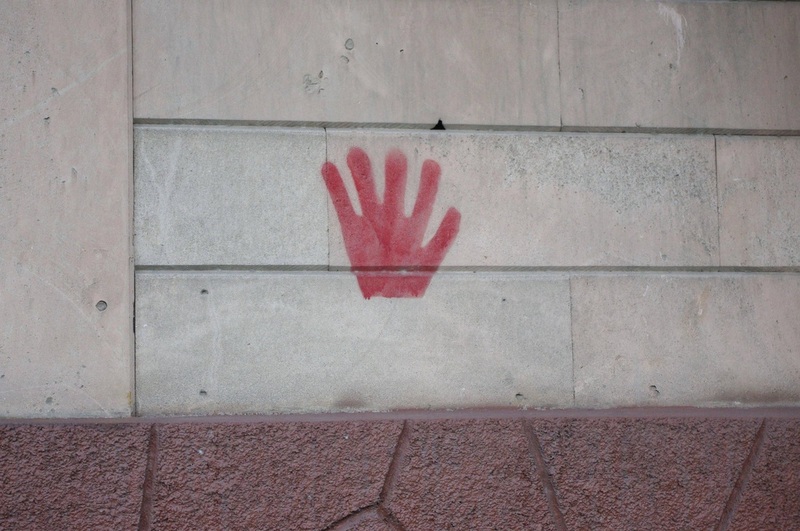 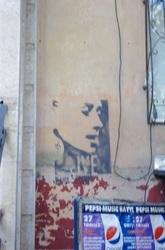 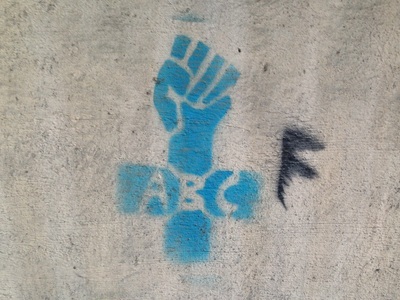 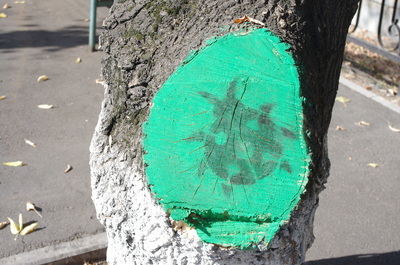 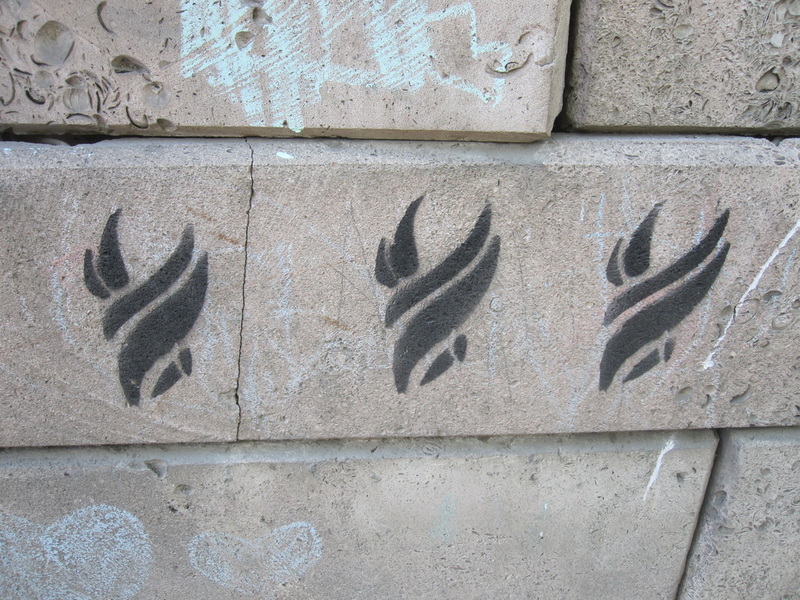 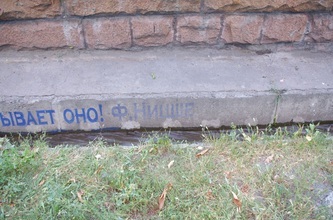 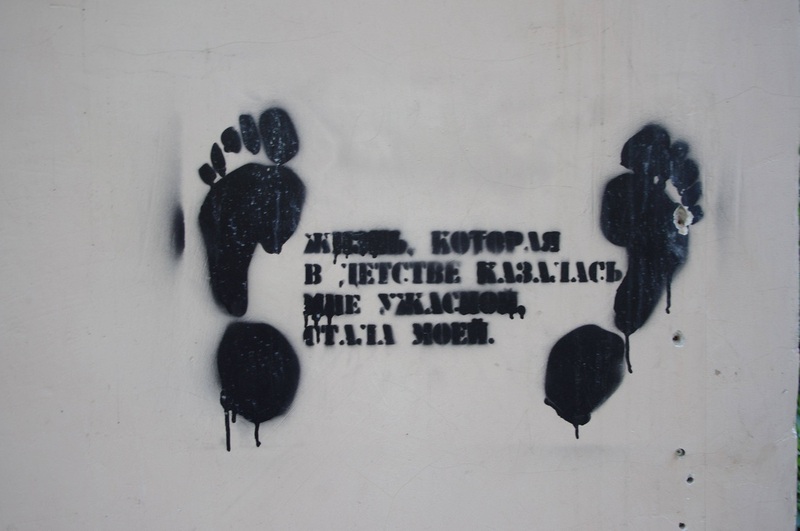 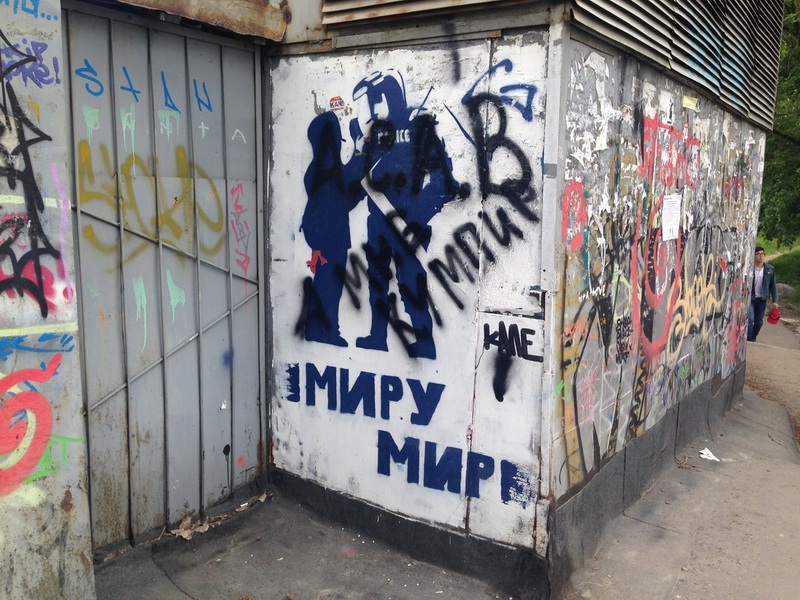 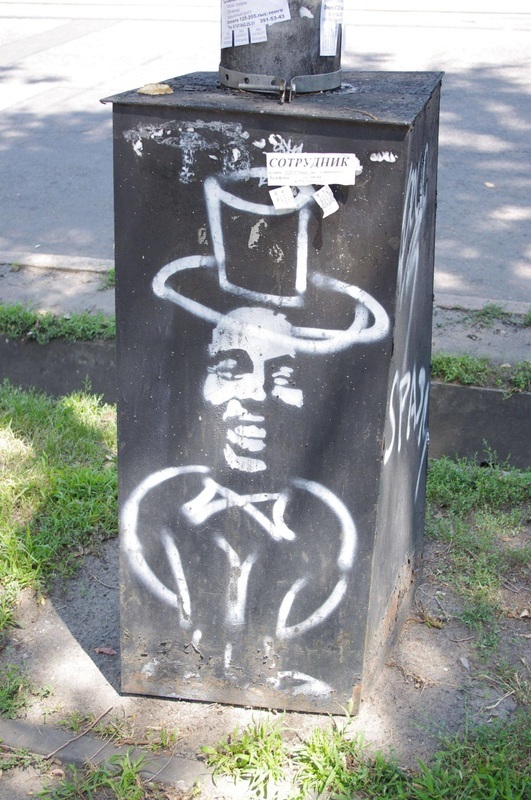 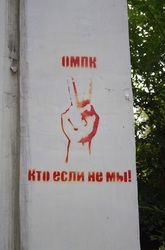 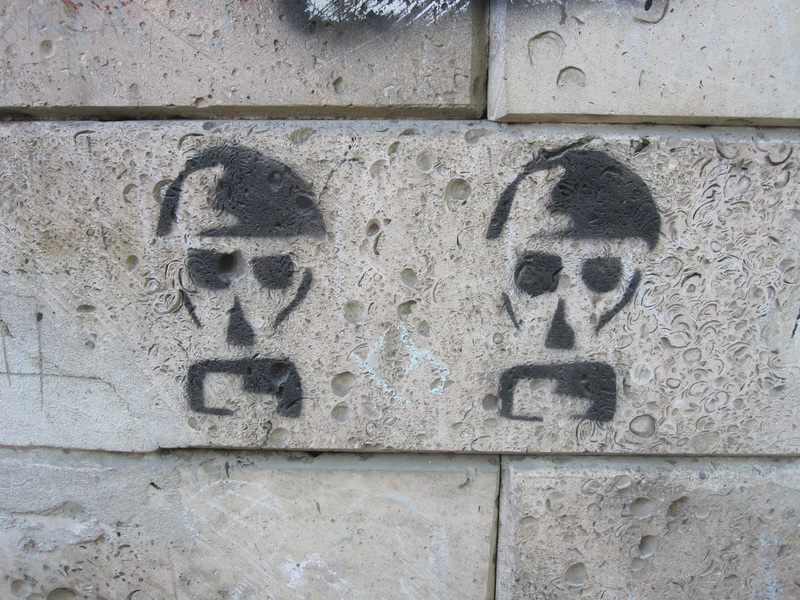 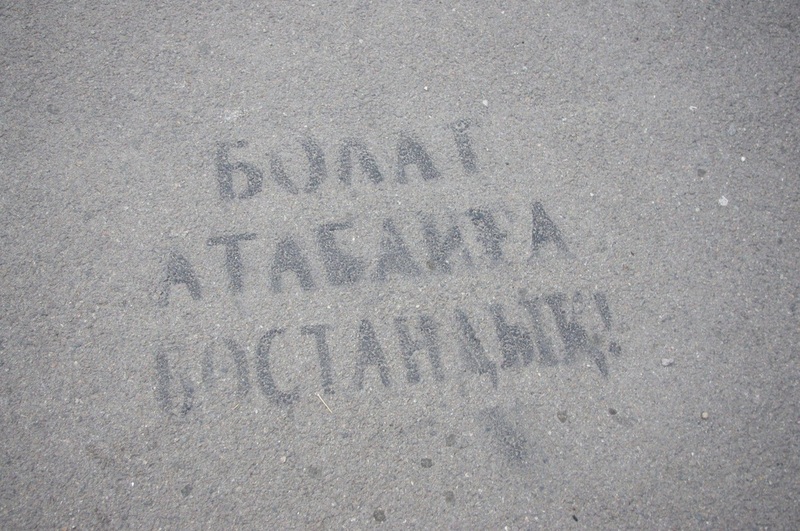 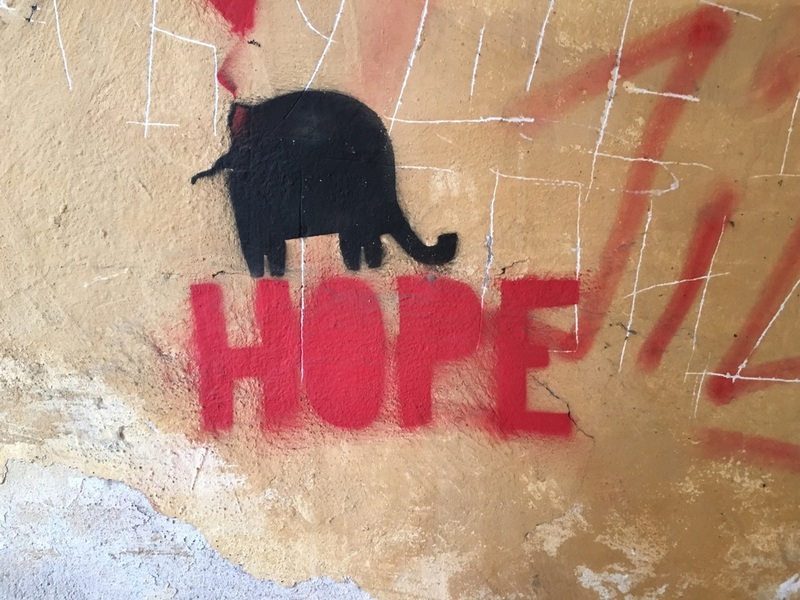 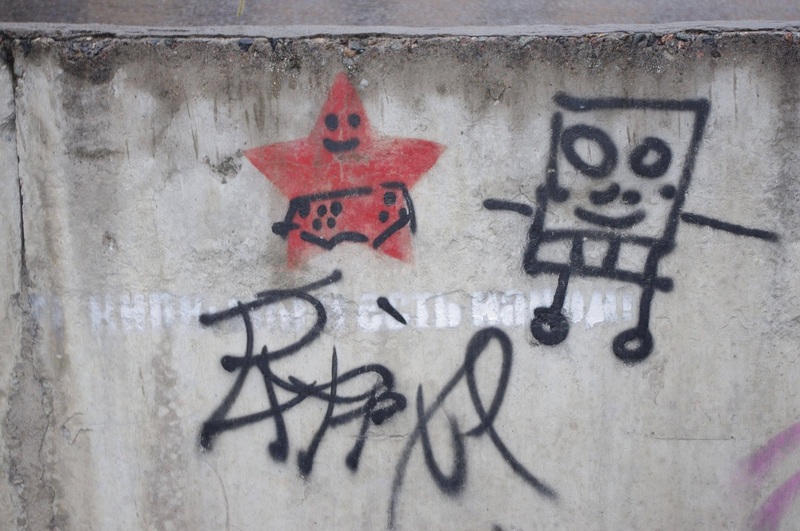 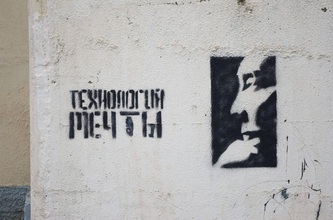 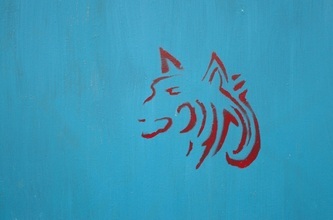 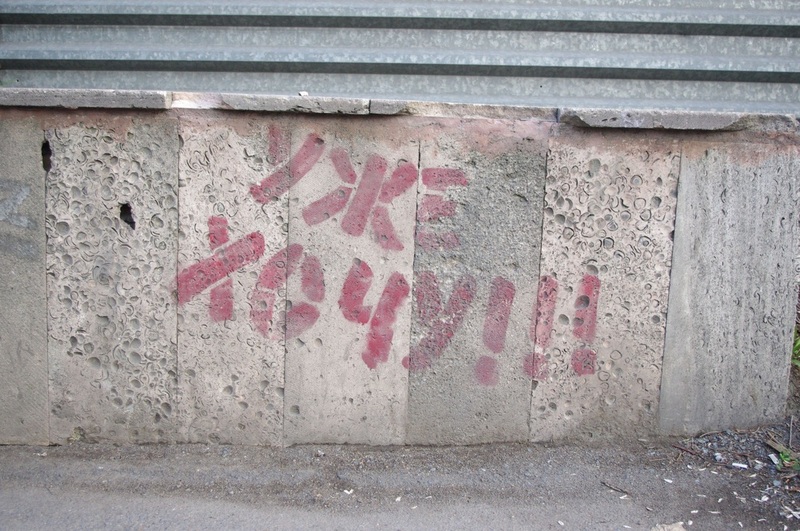 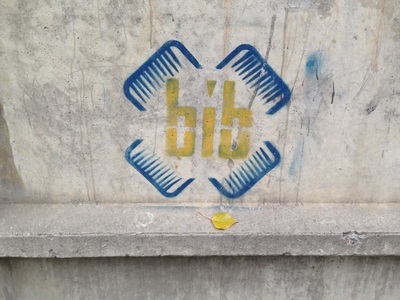 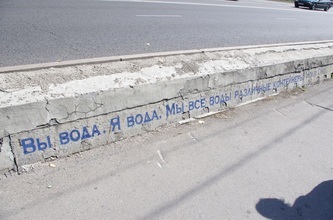 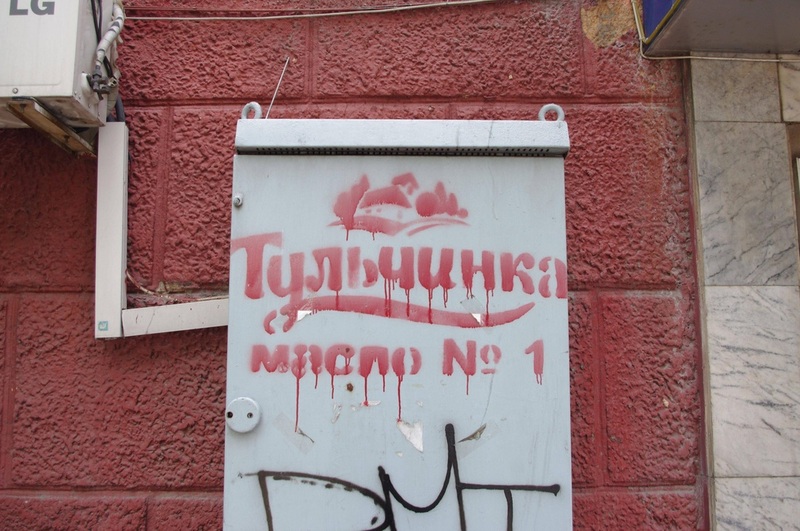 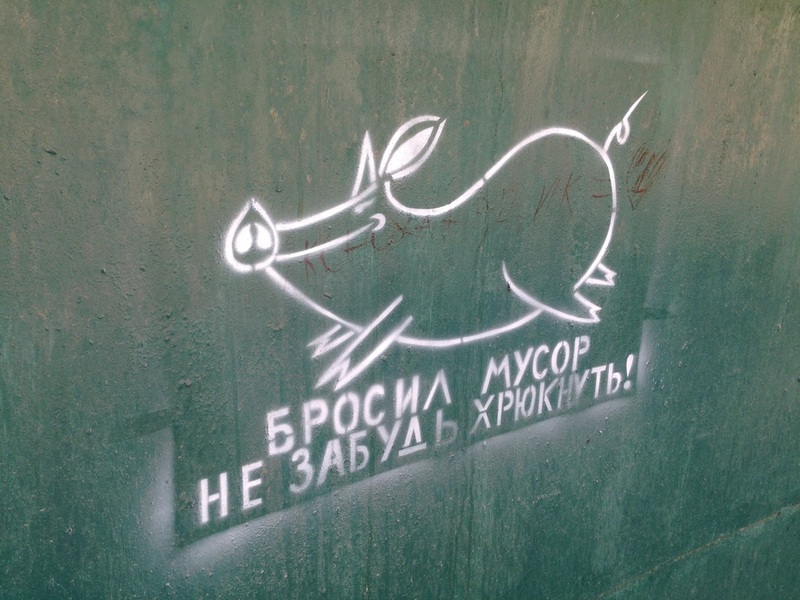 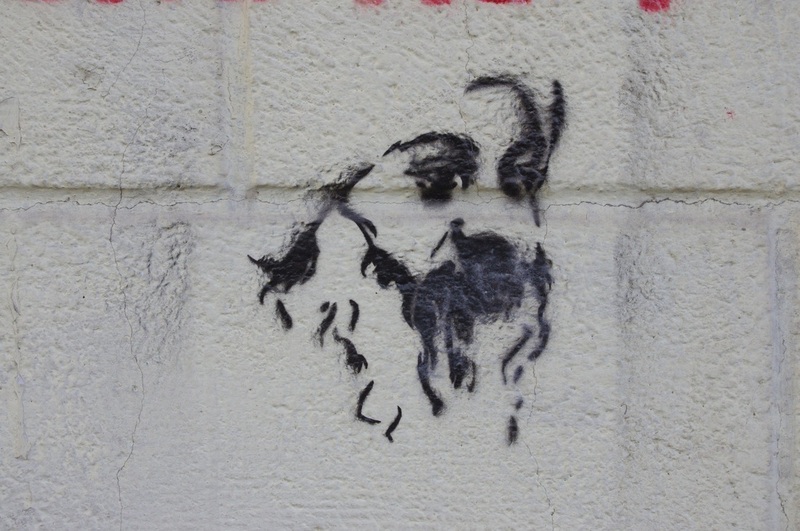 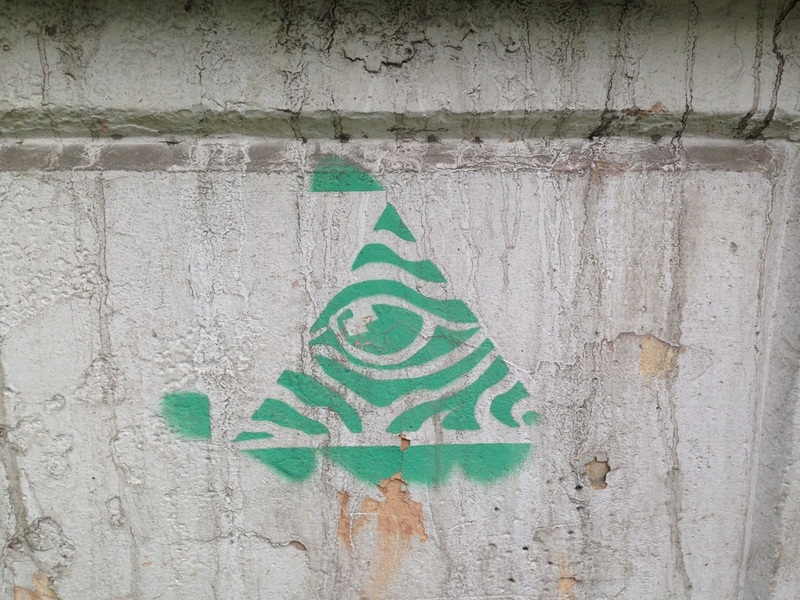 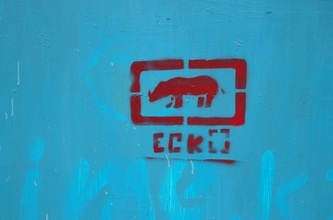 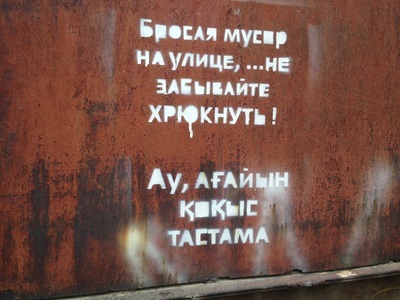 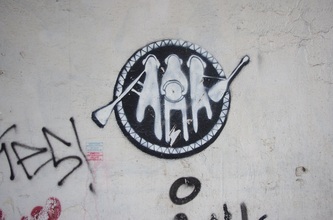 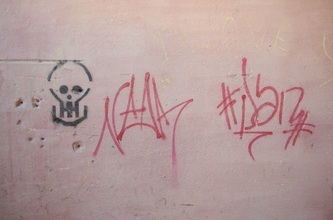 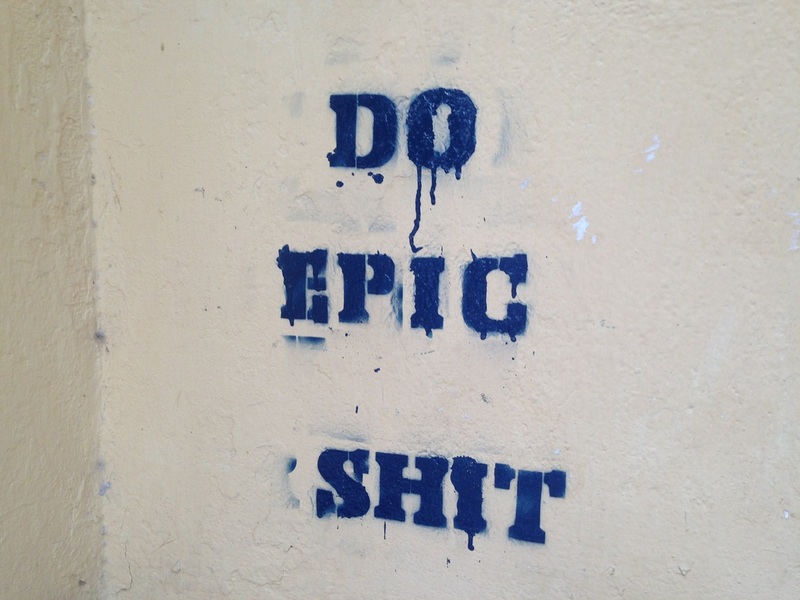 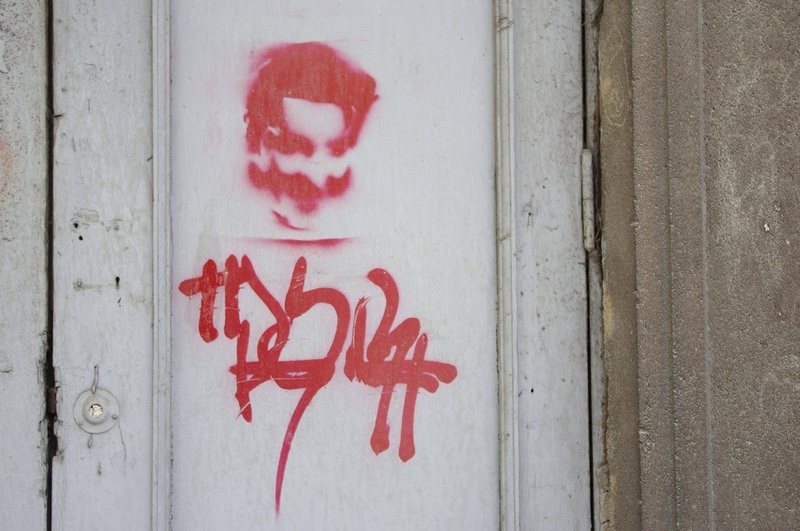 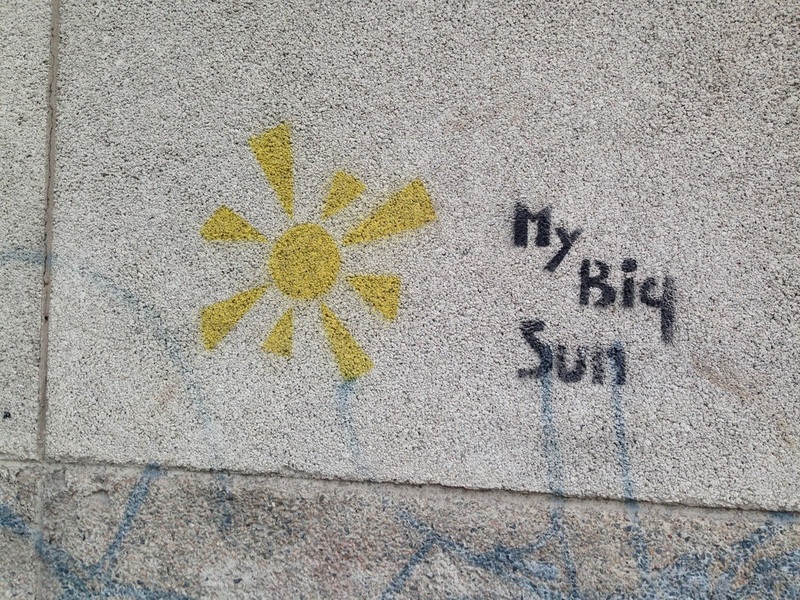 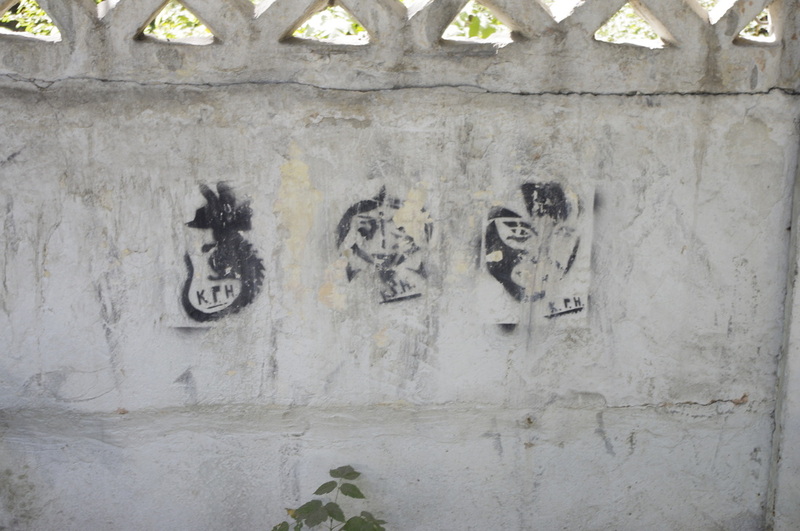 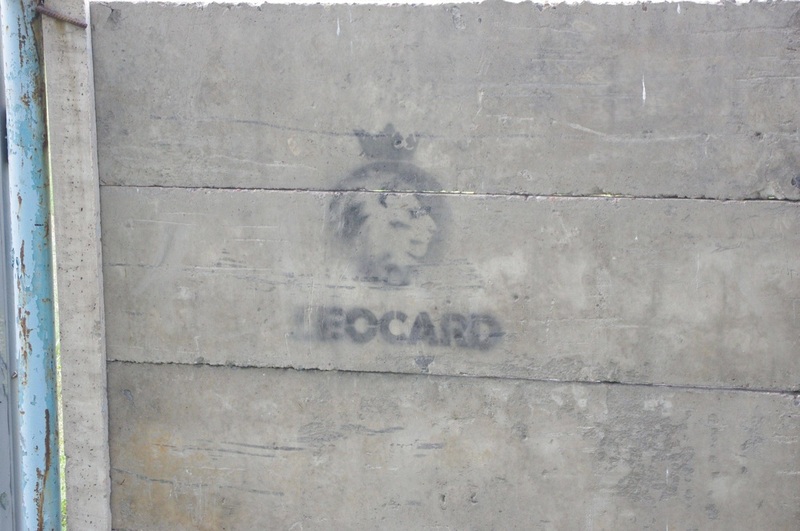 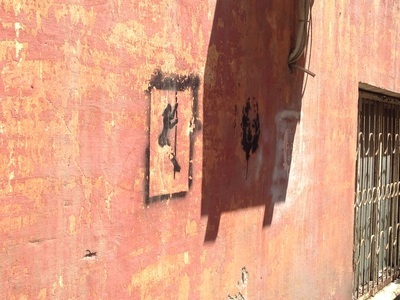 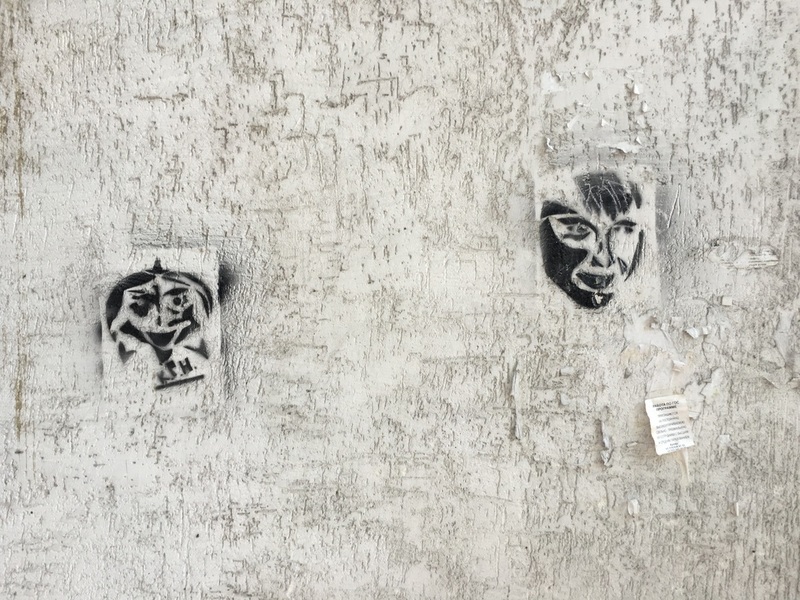 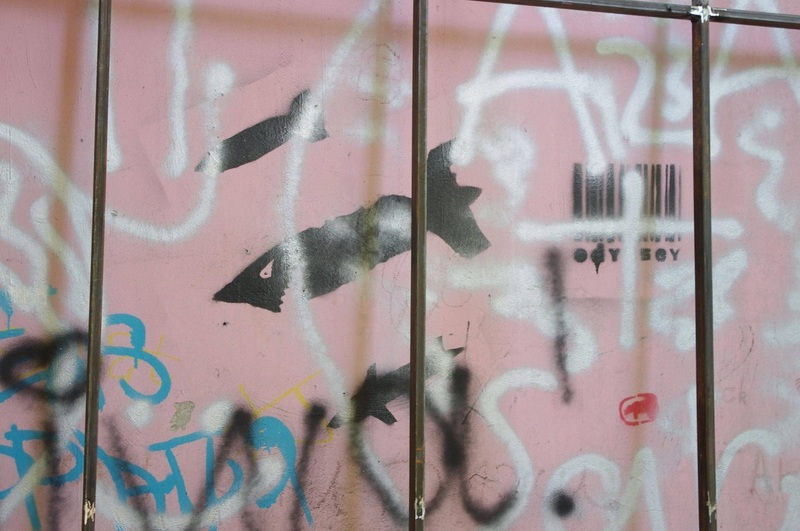 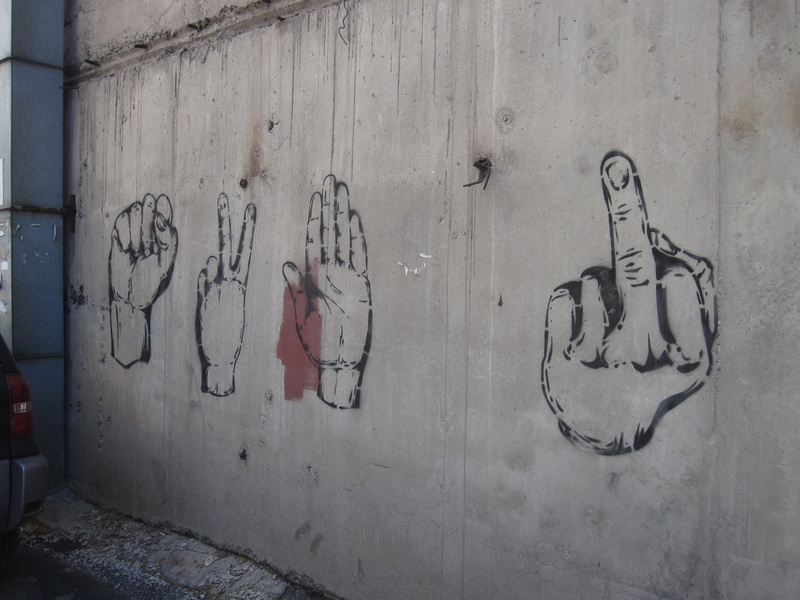 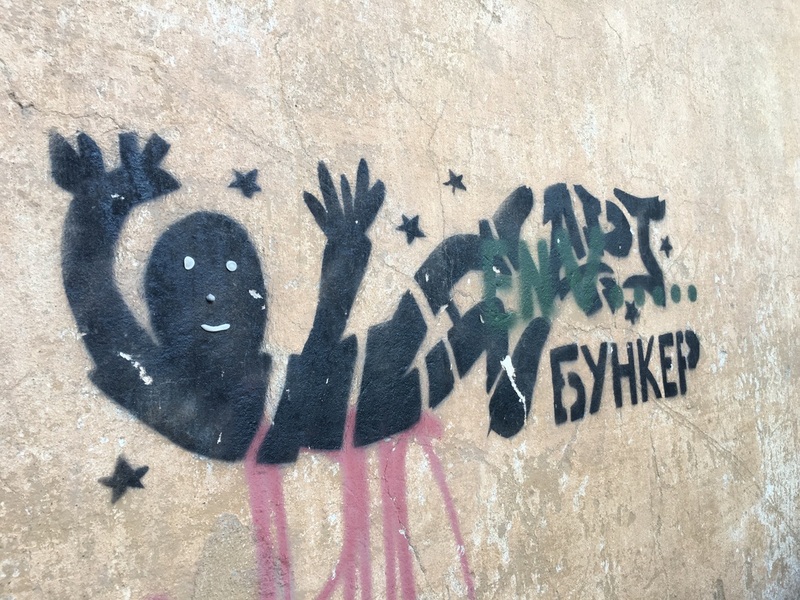 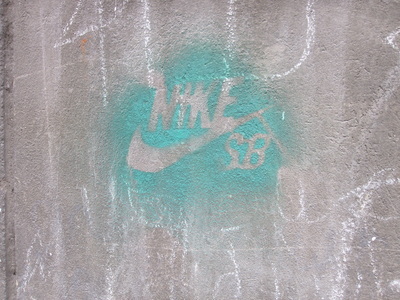 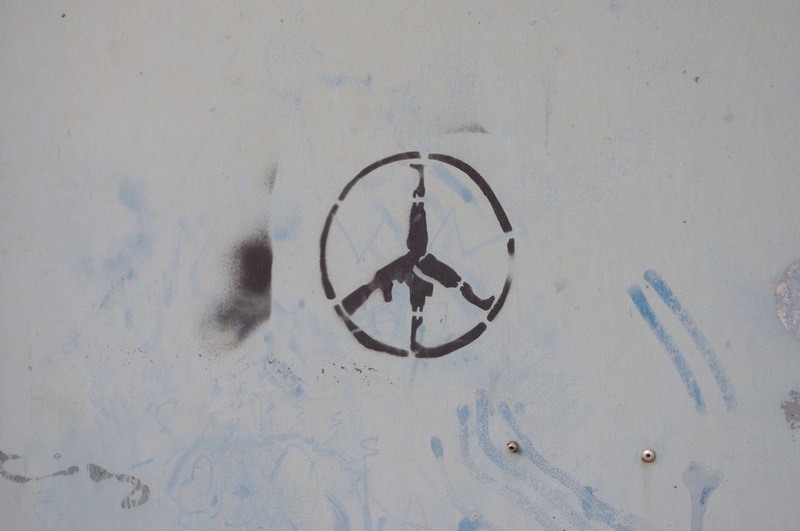 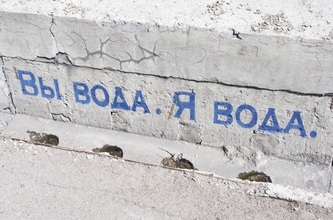 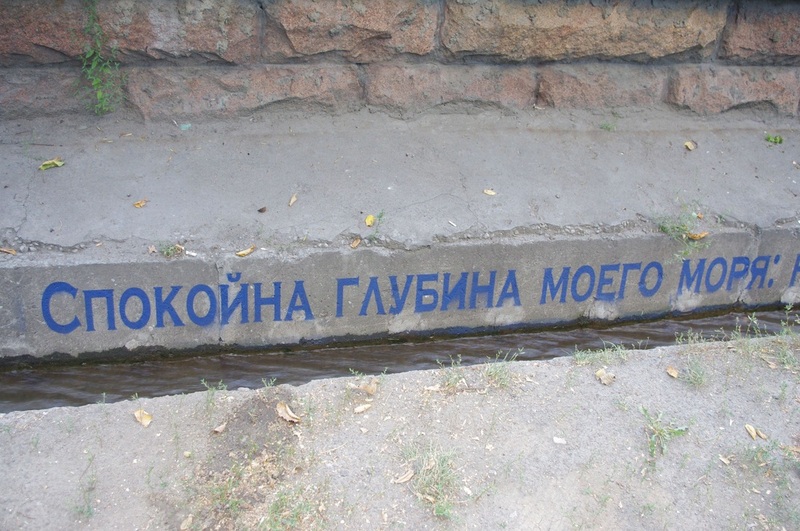 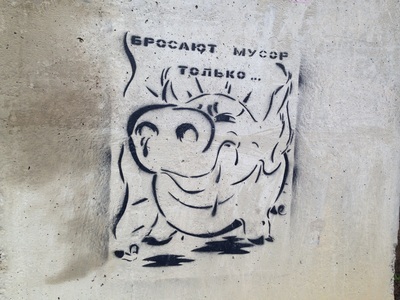 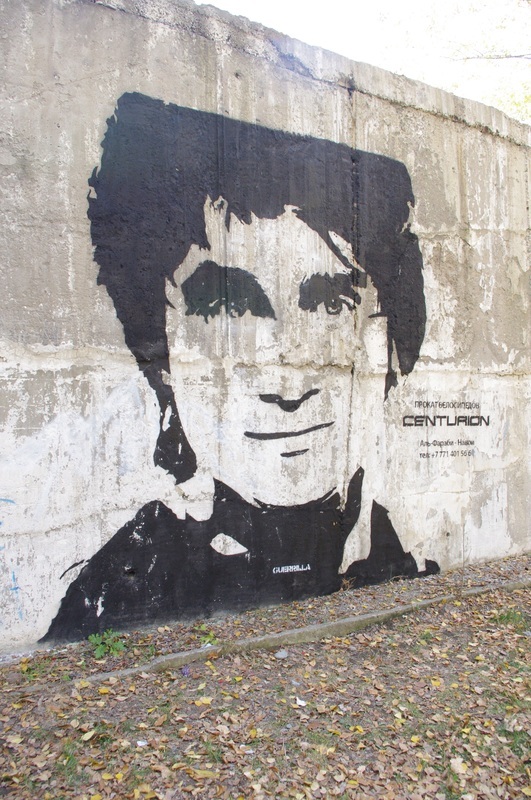 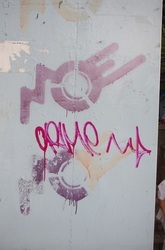 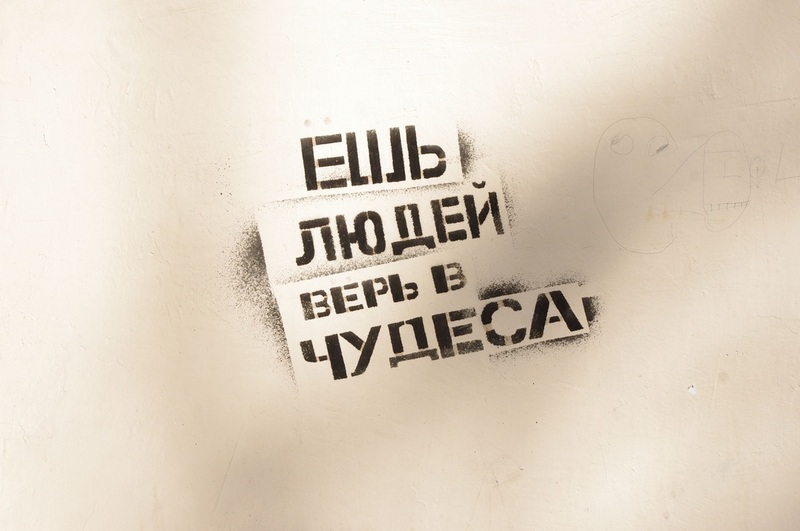 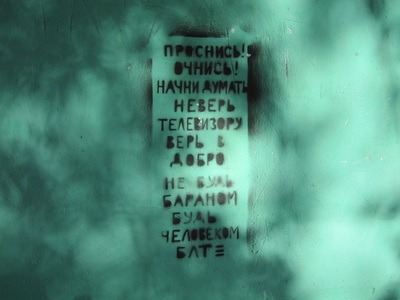 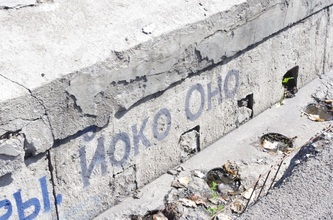 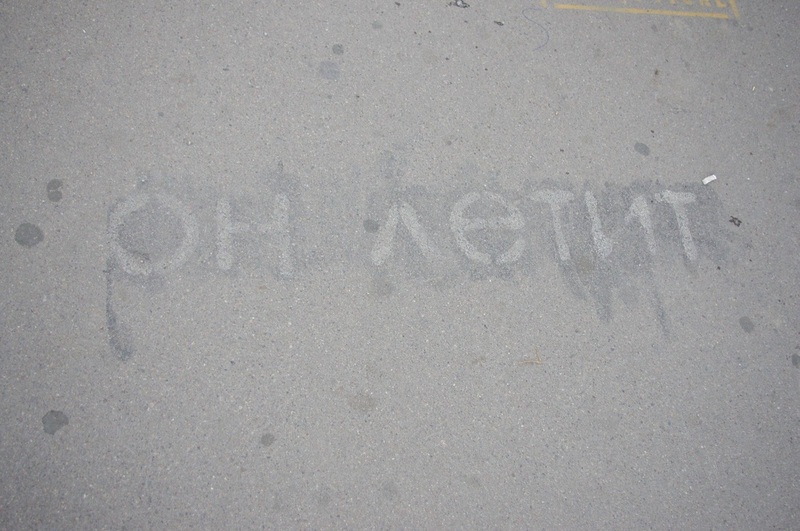 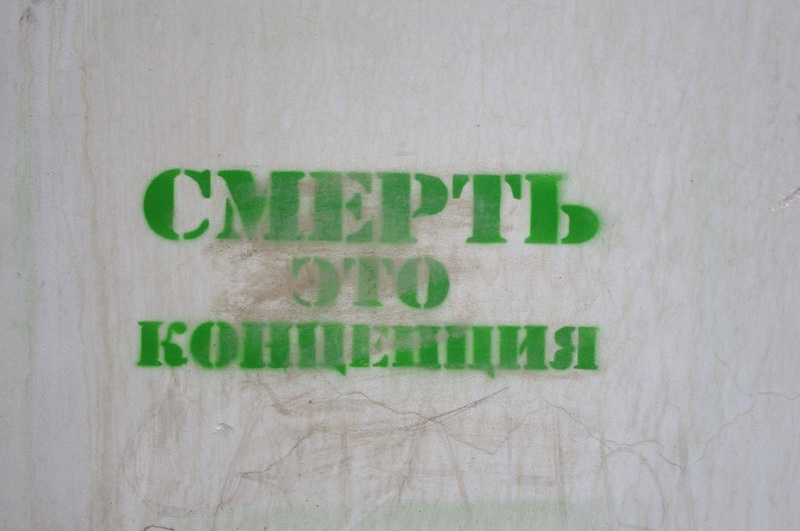 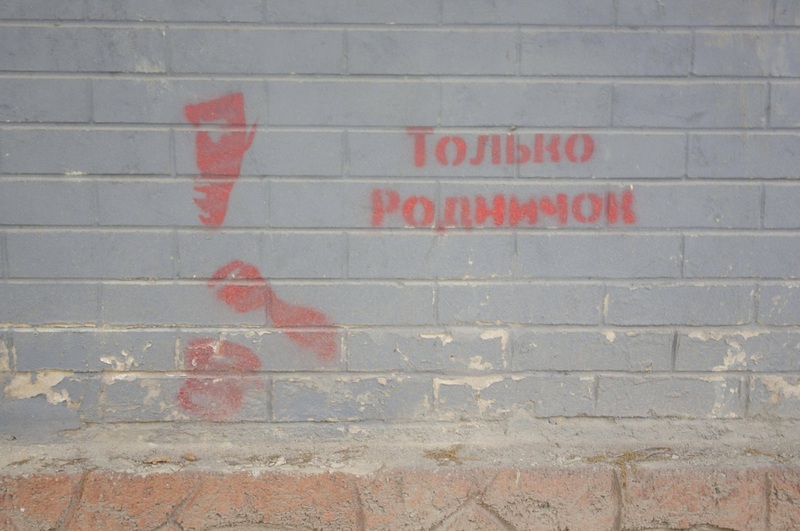 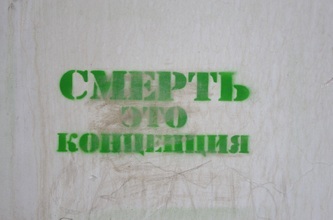 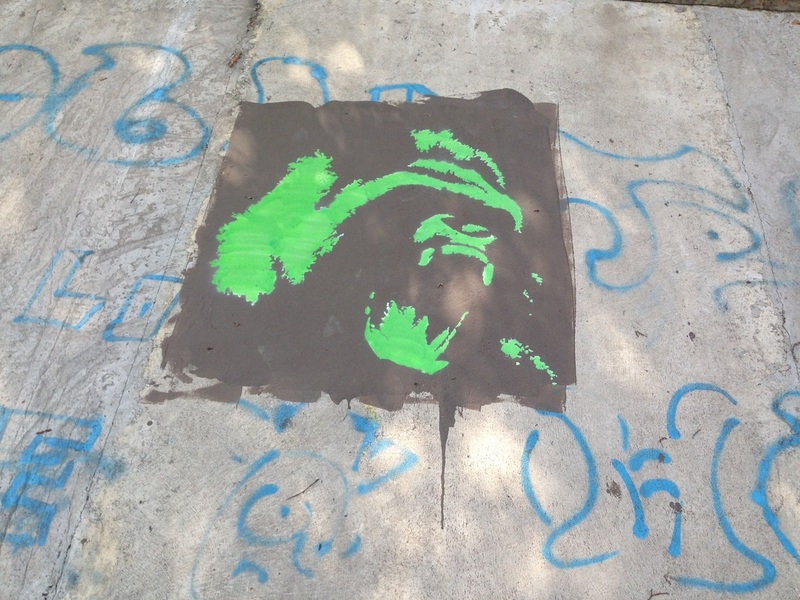 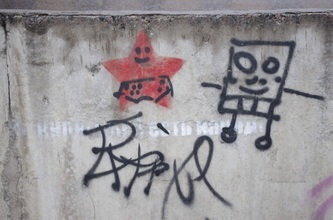 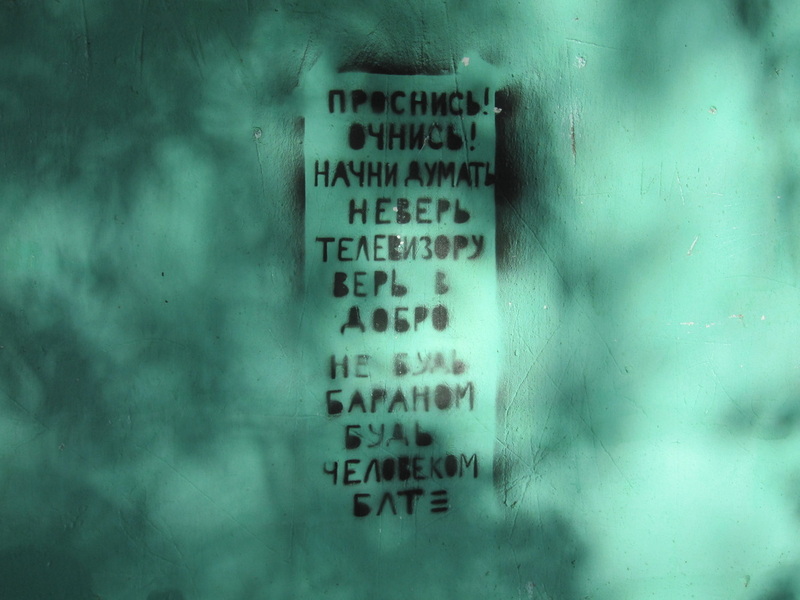 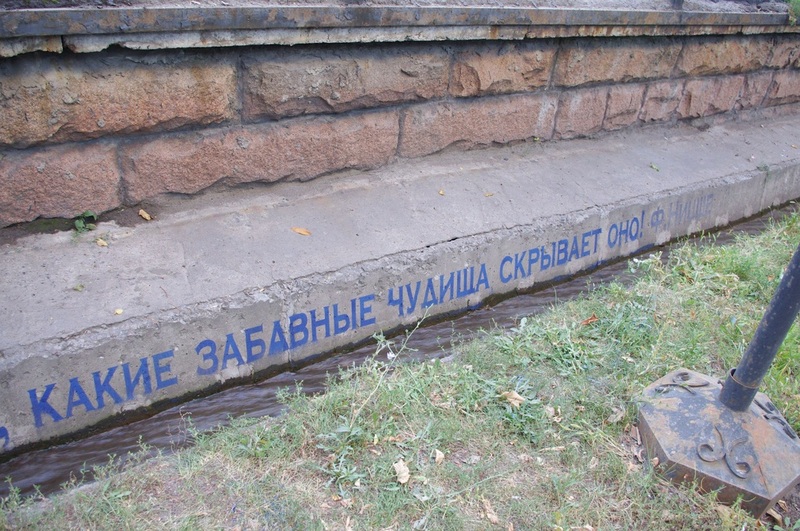 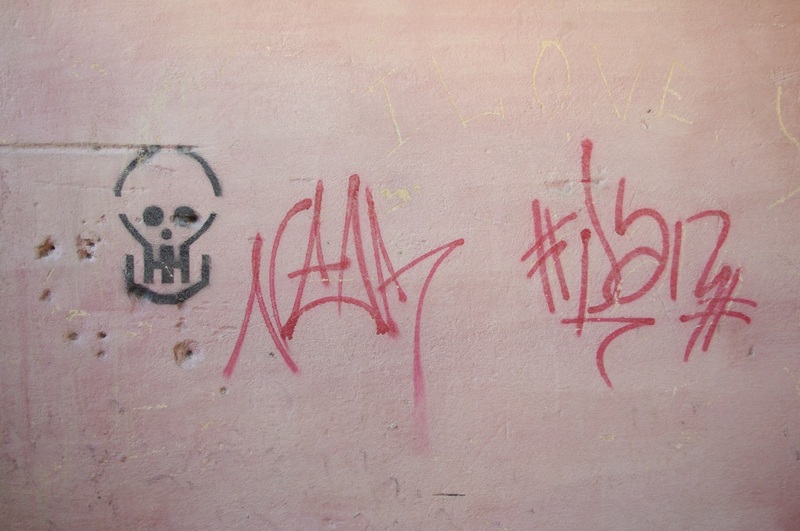 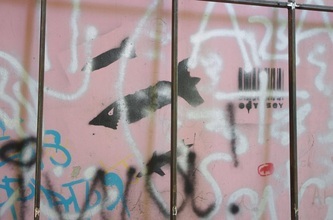 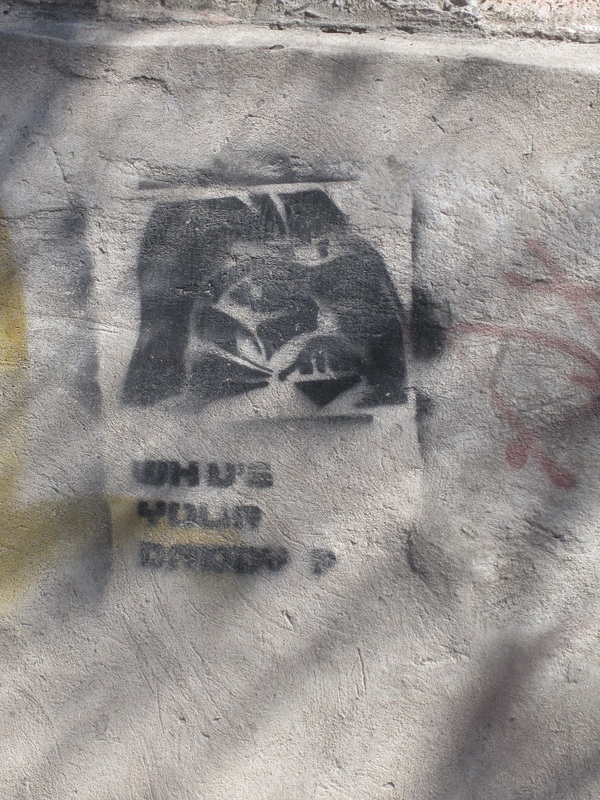 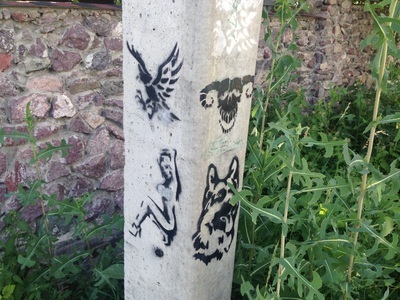 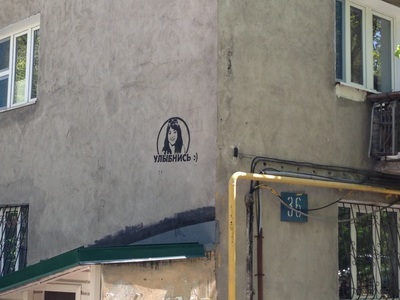 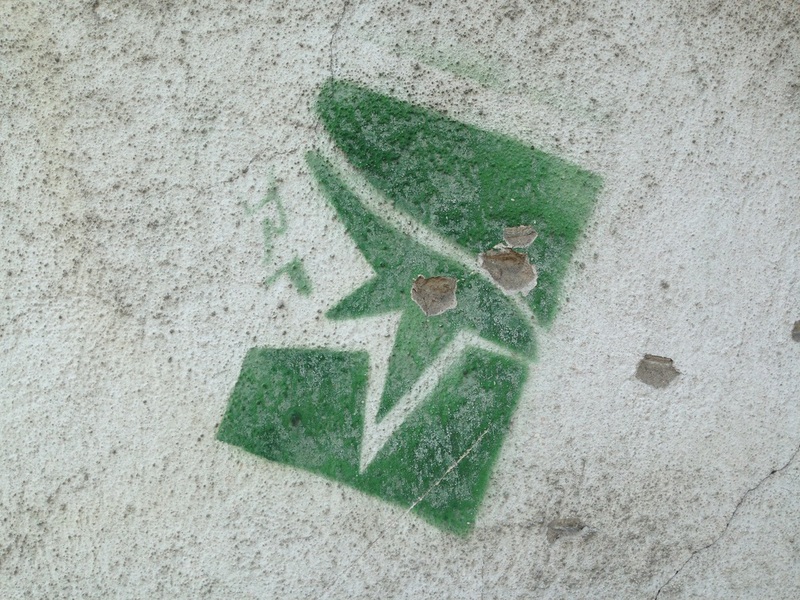 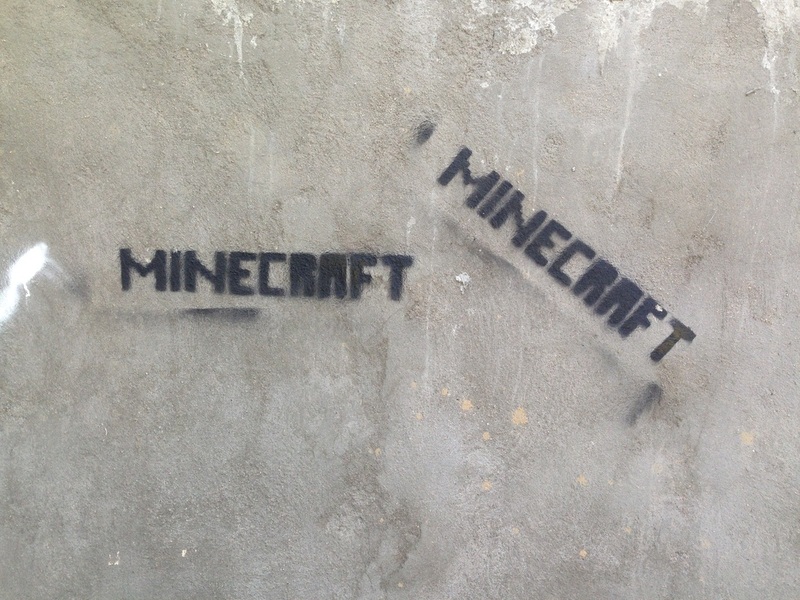 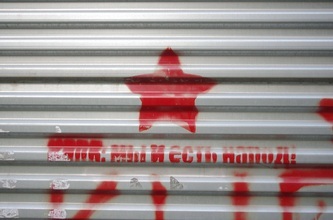 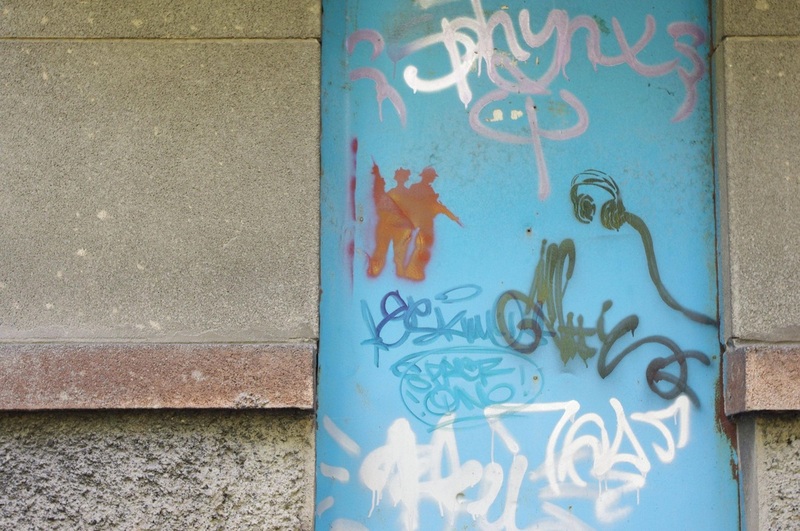 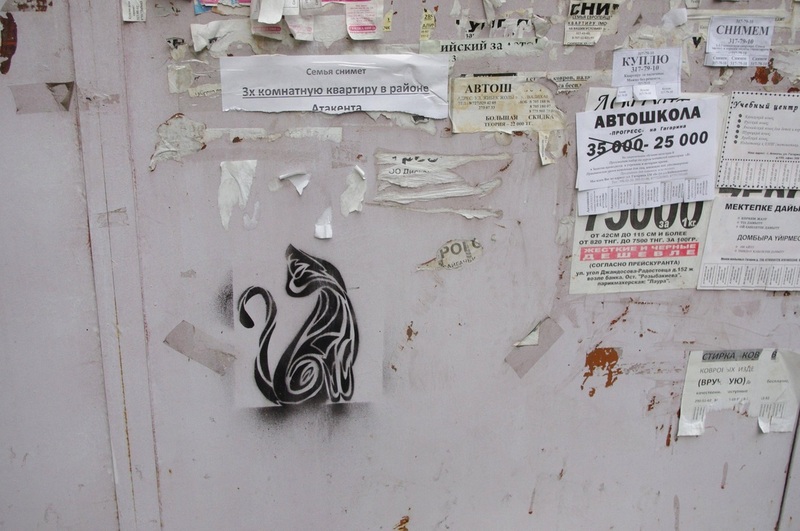 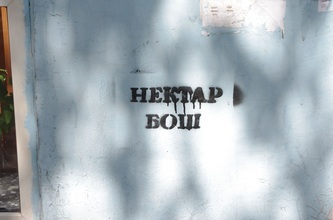 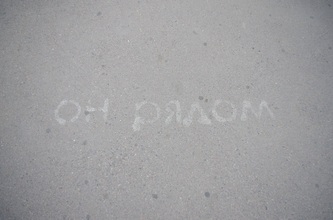 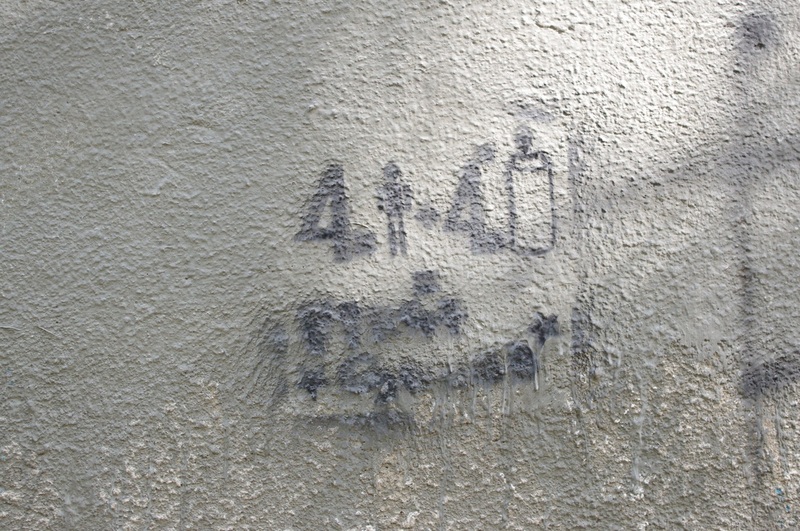 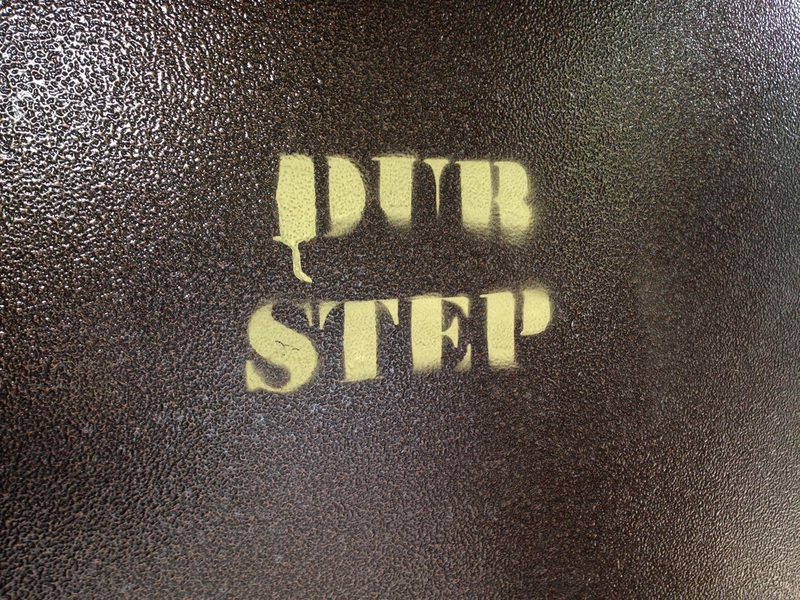 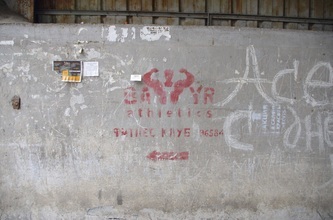 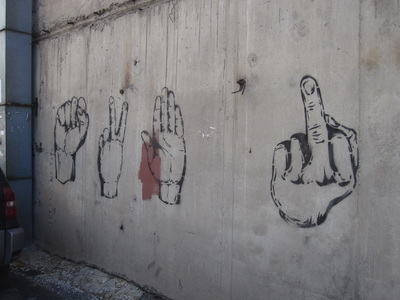 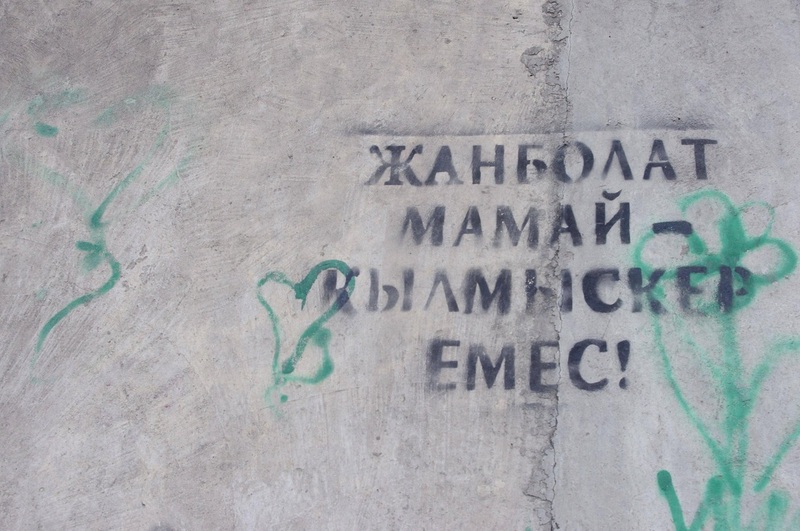 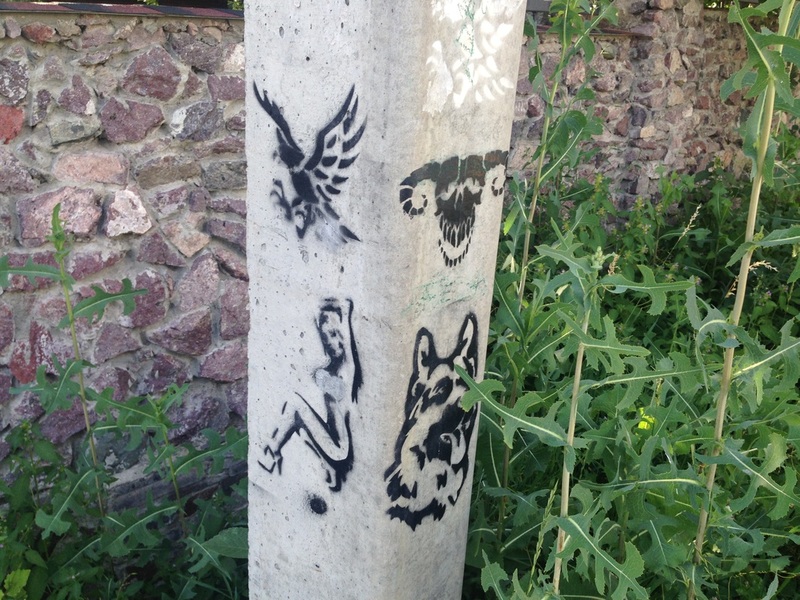 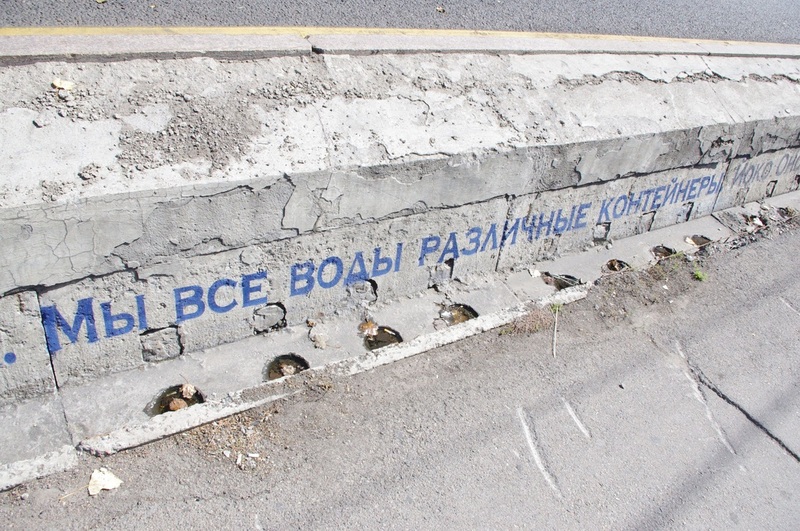 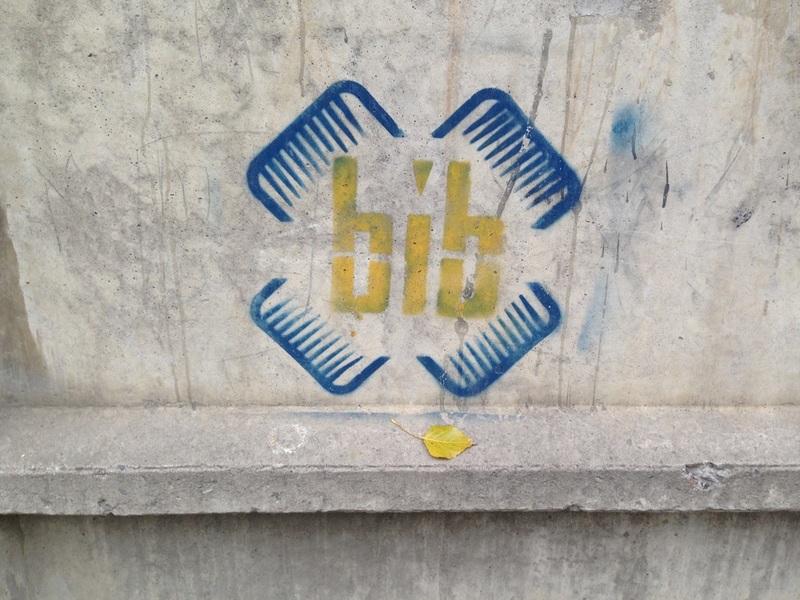 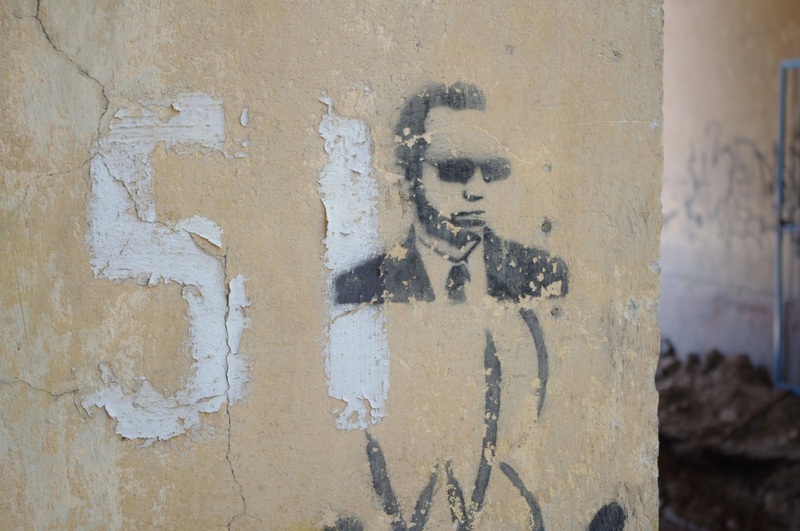 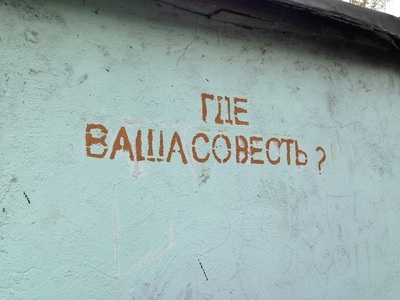 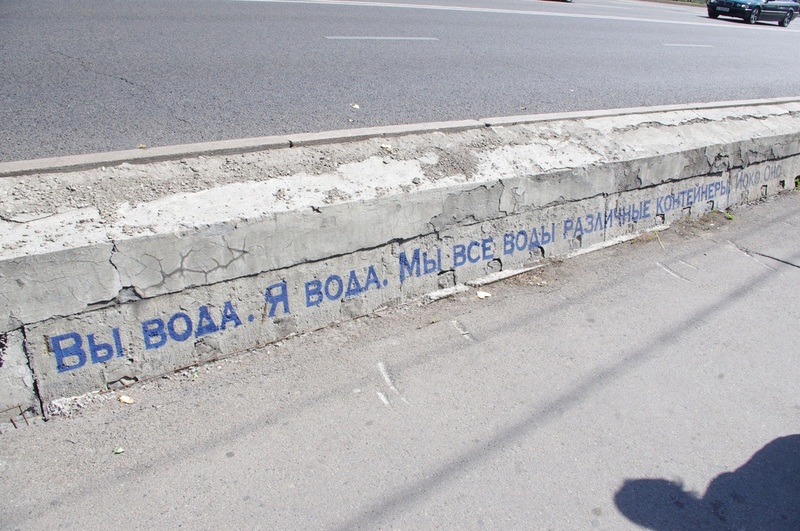 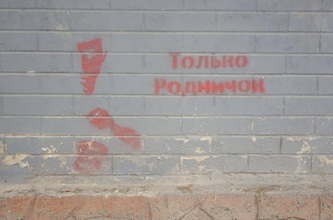 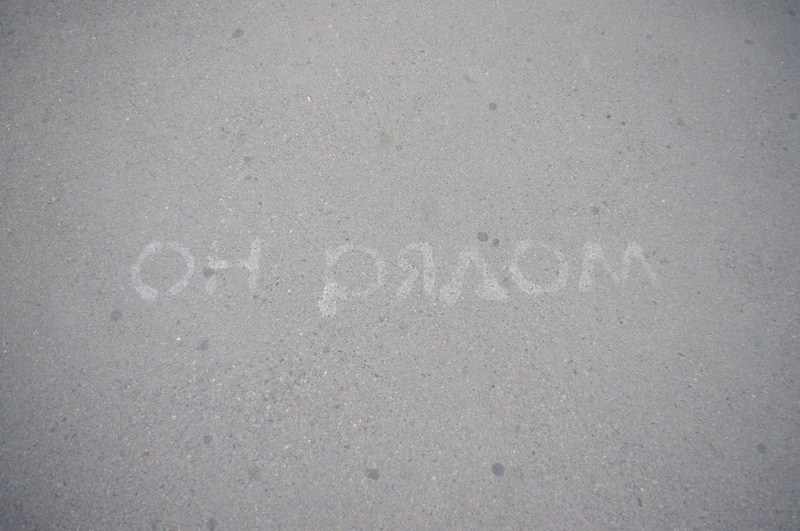 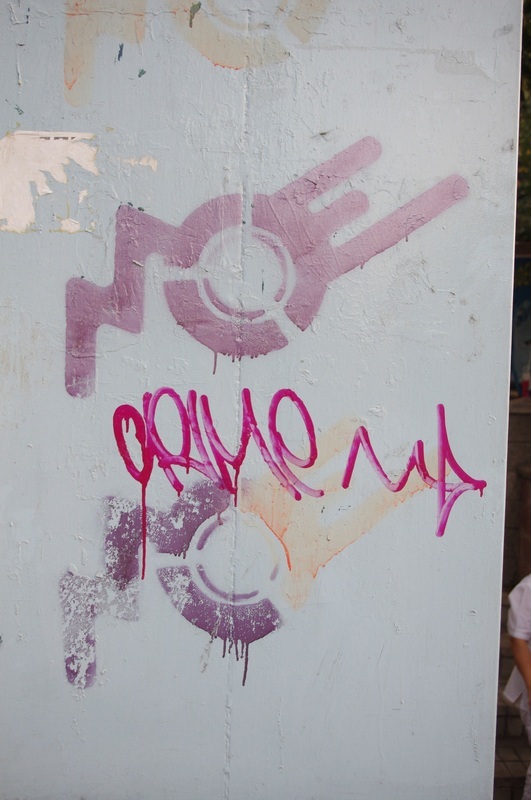 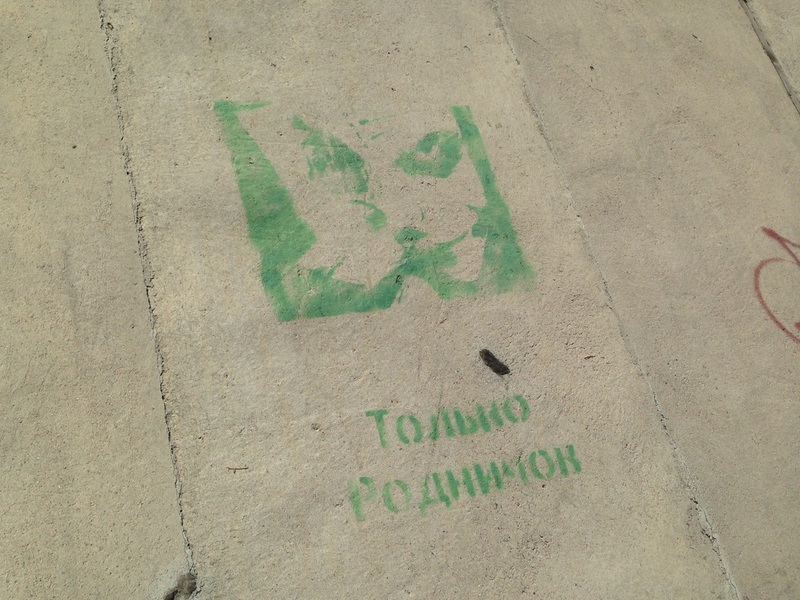 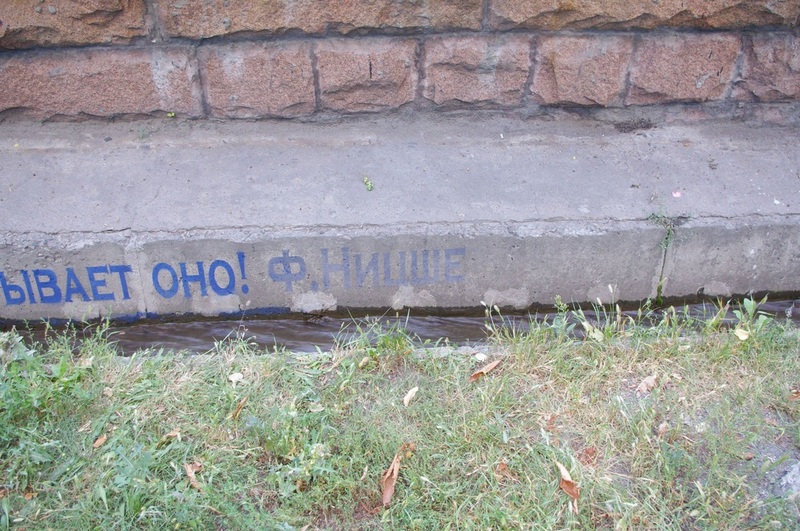 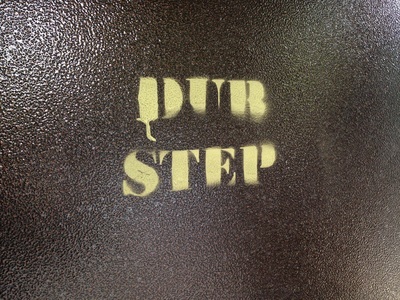 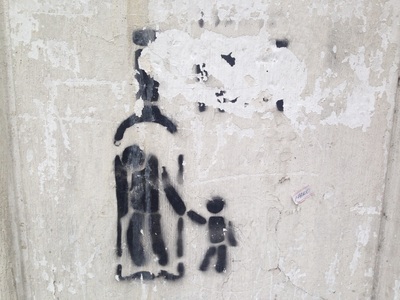 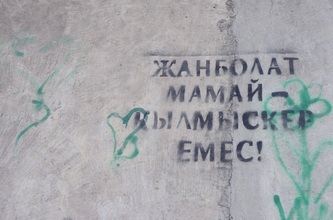 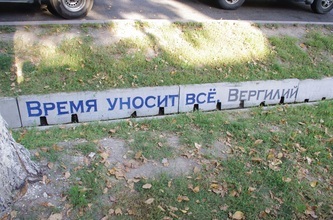 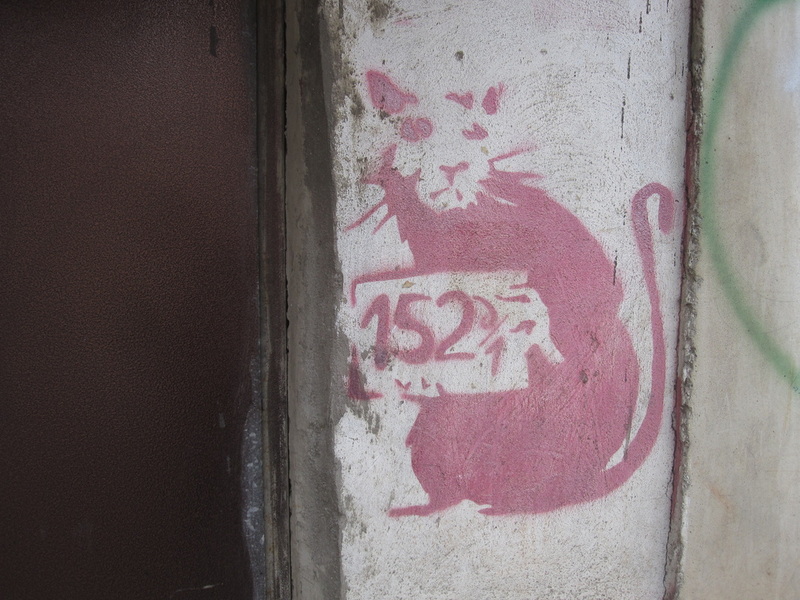 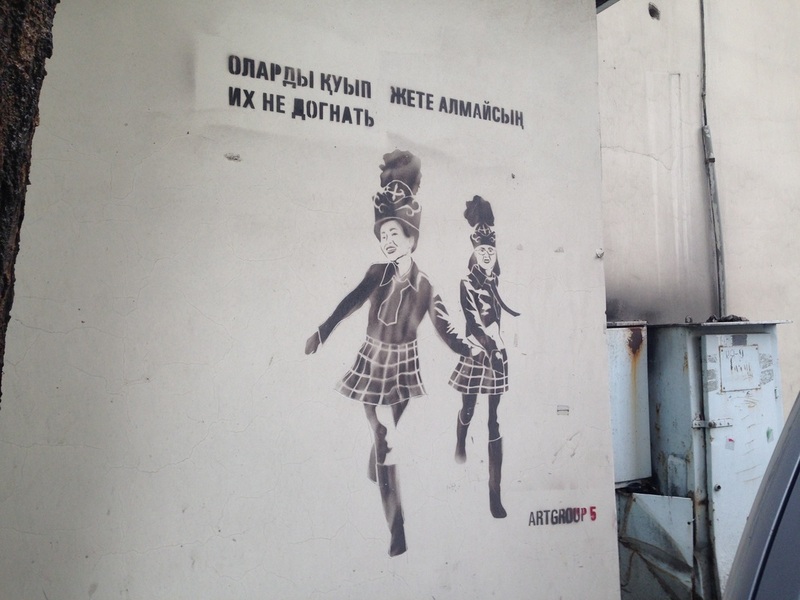 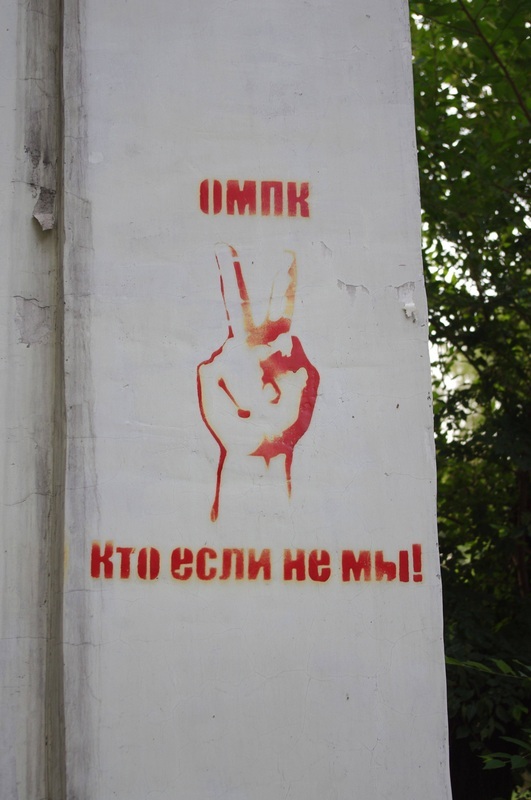 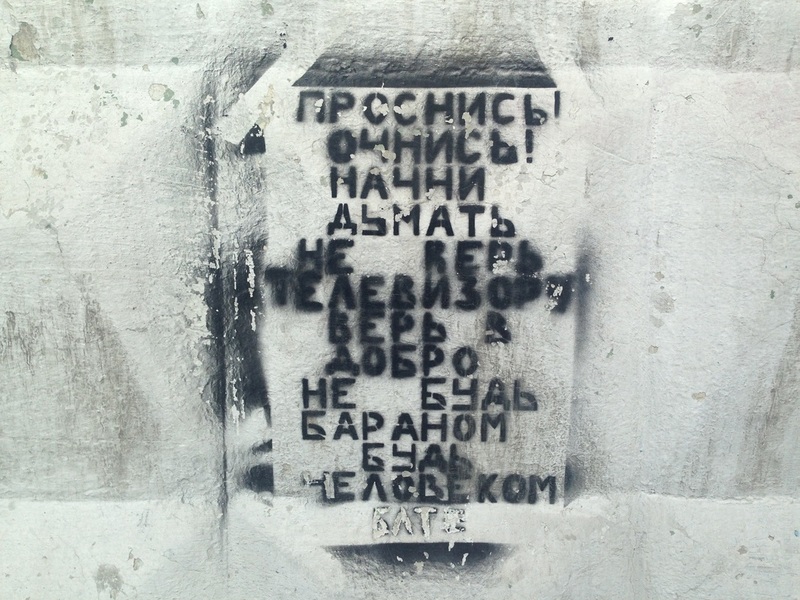 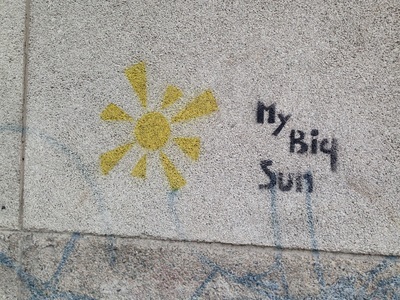 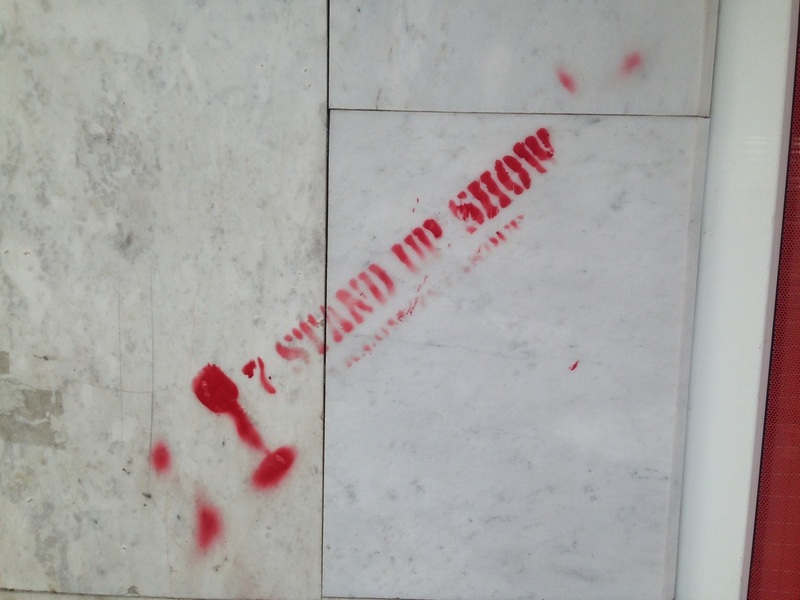 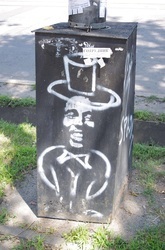 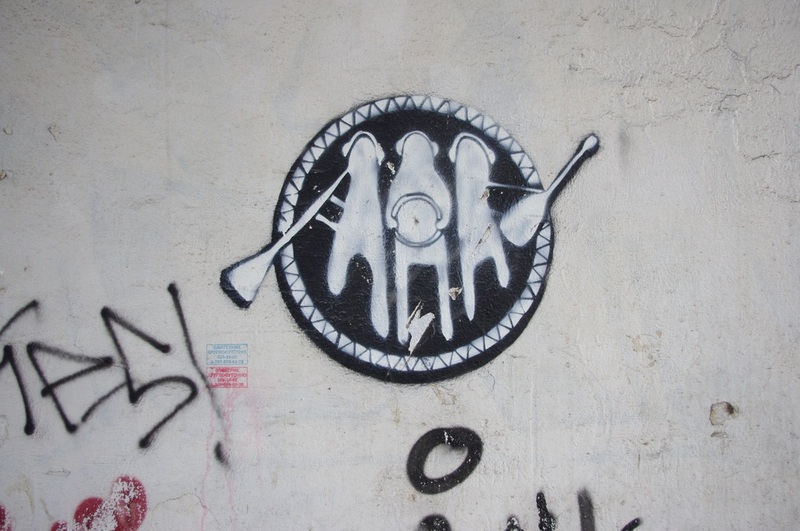 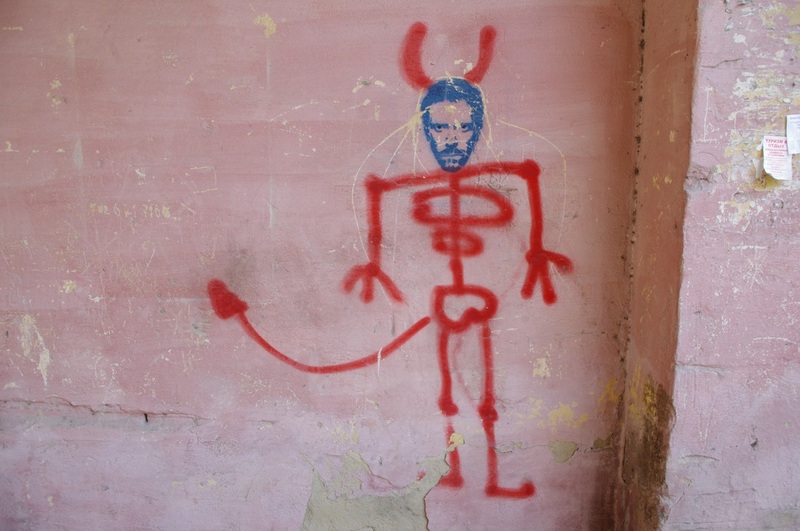 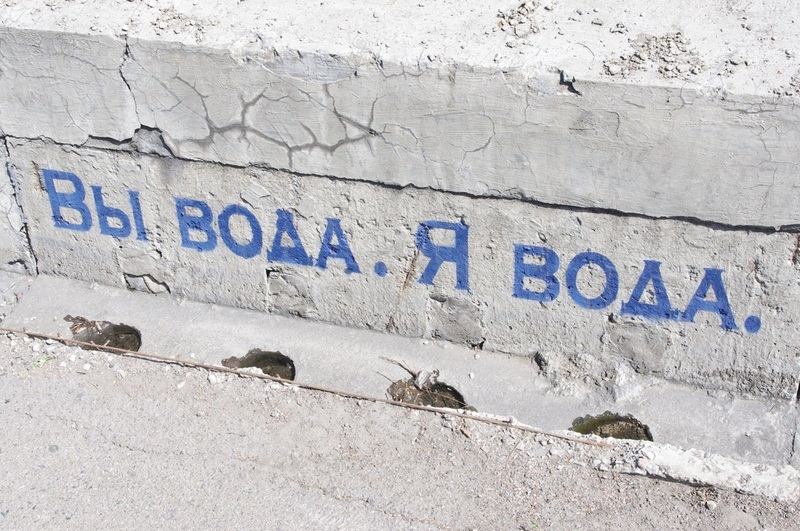 The street-art stencil, popularized most by Banksy, has landed in Kazakhstan. 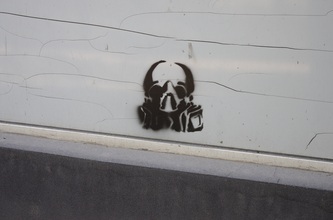 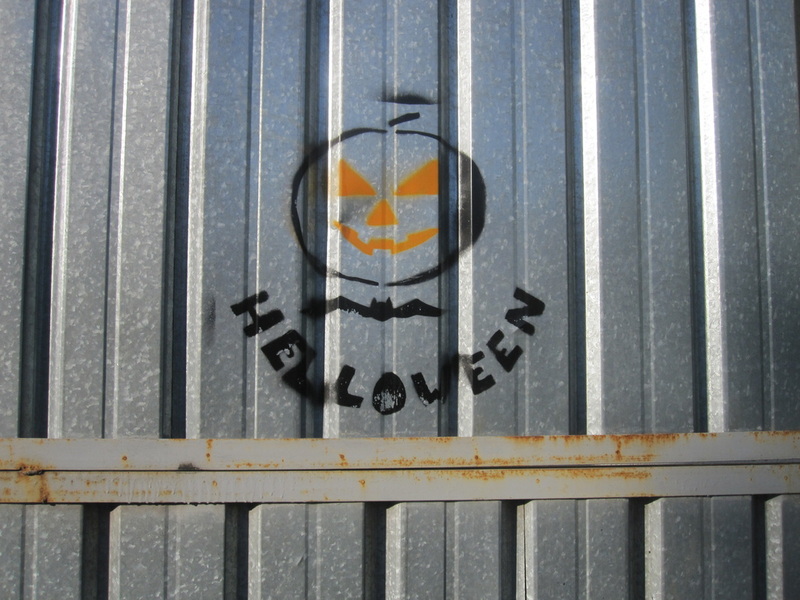 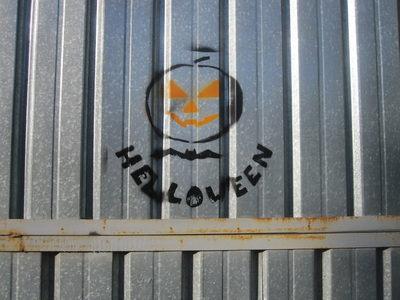 The designs, in mostly red and black spray paint, take their anti-authoritarian satirical cues from the artist, too - just look at all the skulls in gas masks, bumblebee warplanes and smiling missiles. 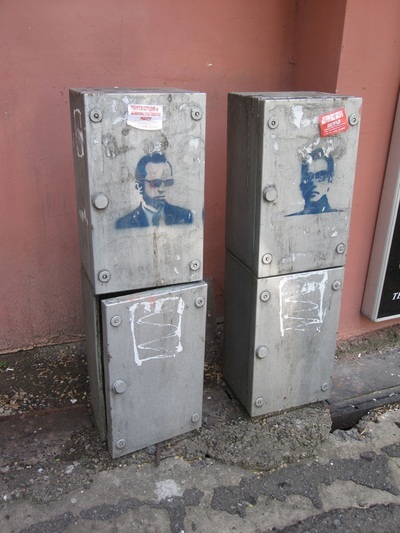 Then there's the pop art bent, with one of the most wide-spread stencils a reproduction of a Russian butter label and another a portrait of Hugh Laurie. I find most of them to be pretty uninspired, and I've never seen any really large-scale installations like you can find in major metropolises in the West. 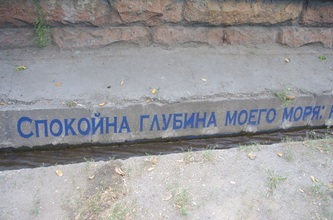 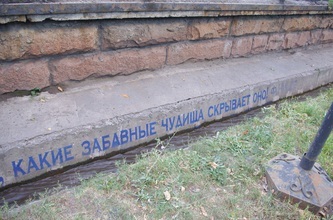 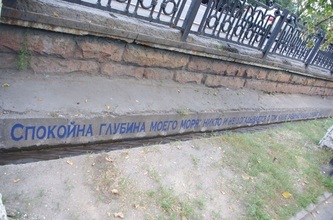 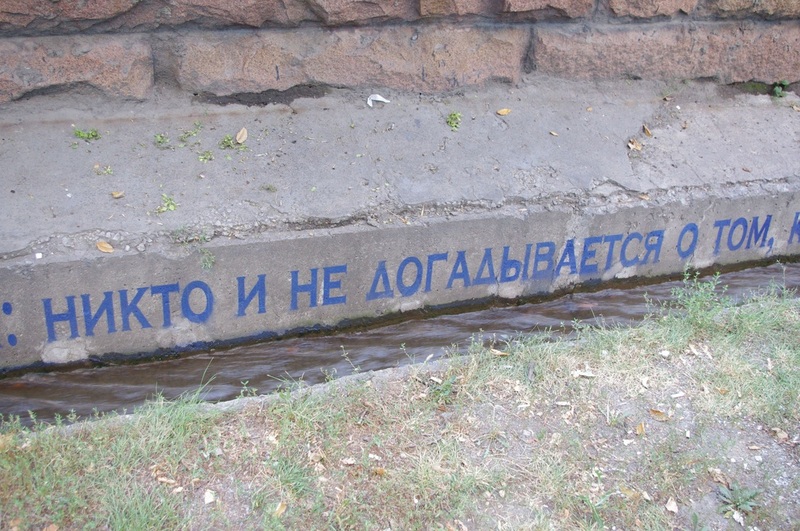 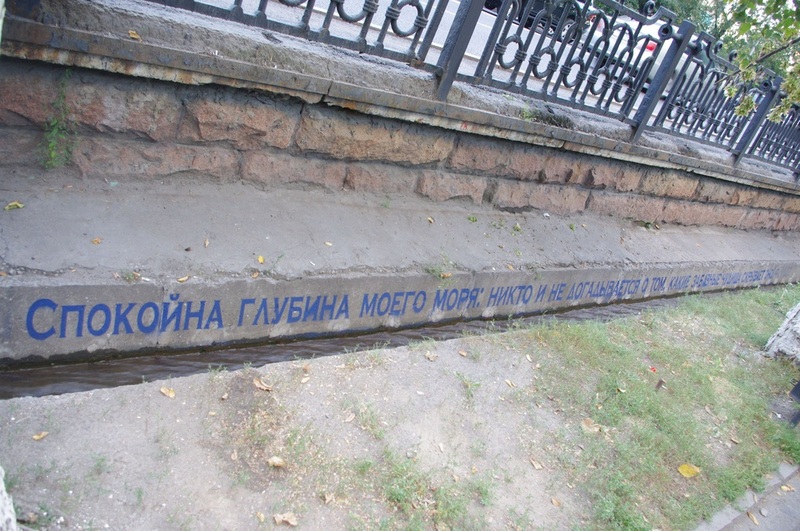 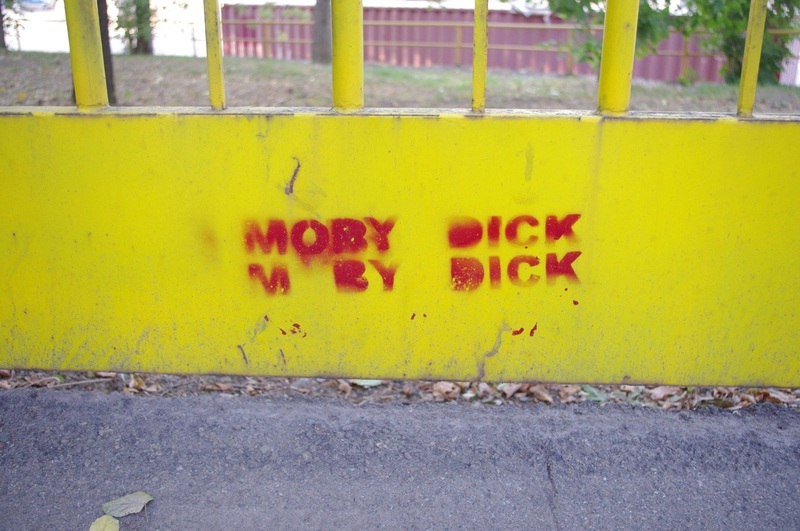 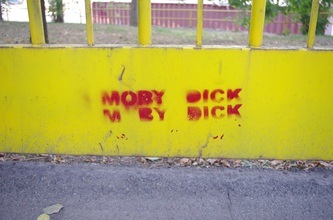 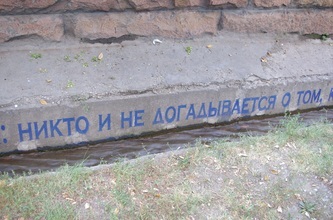 My favorite, probably, was the series that was most site-specific, a ton of spray-painted quotes in blue, put up in empty aryks, posing philosophical questions about water. 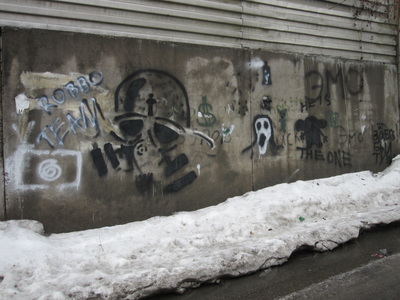 Most, unfortunately, have no local feel, and they might as well be on any wall anywhere.